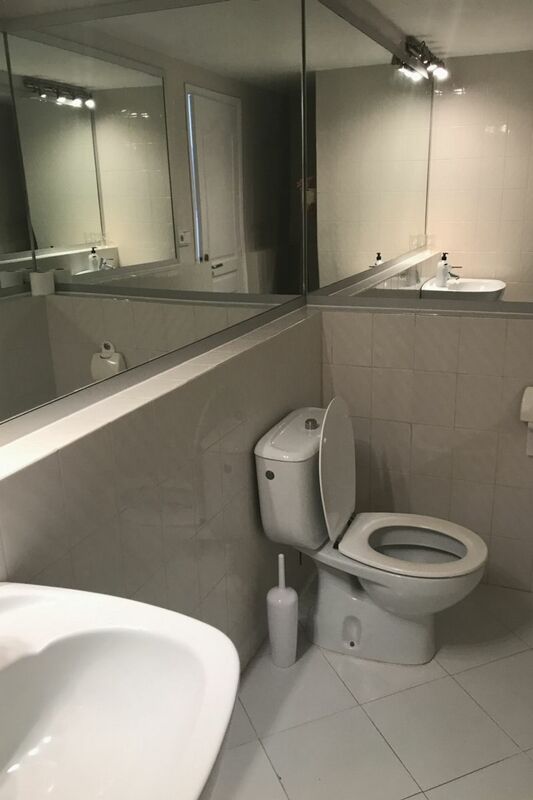 Before check-in and after check-out. 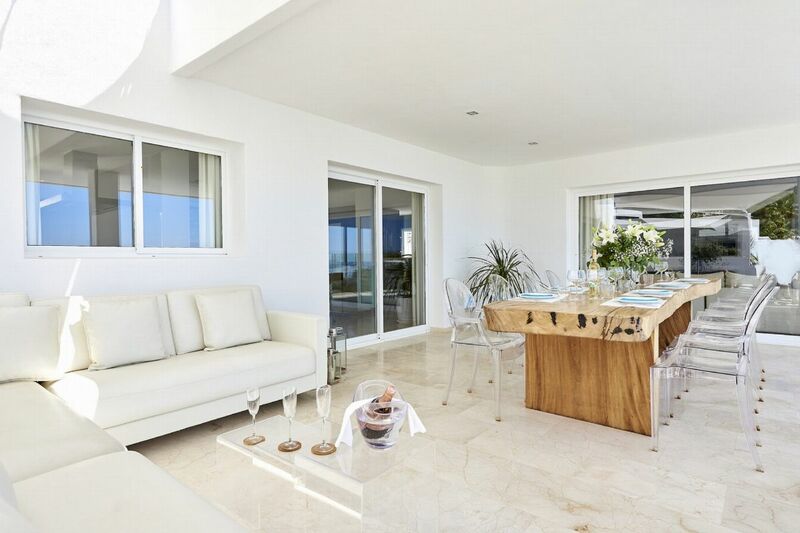 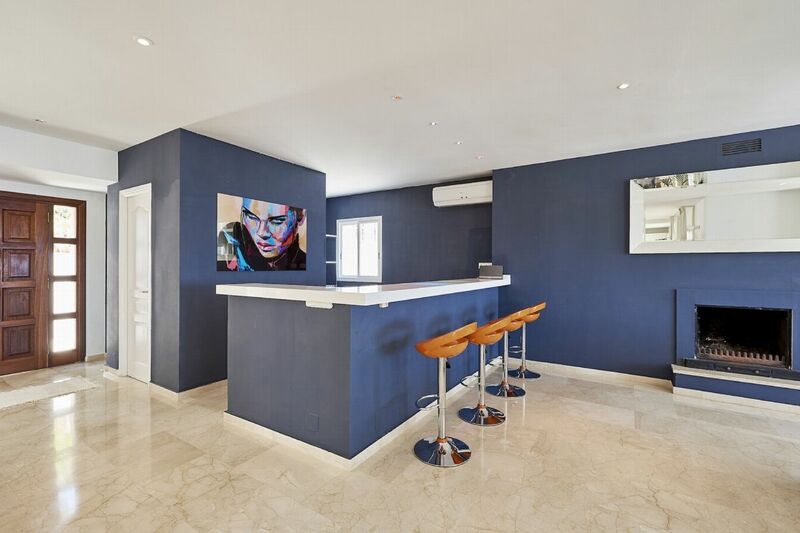 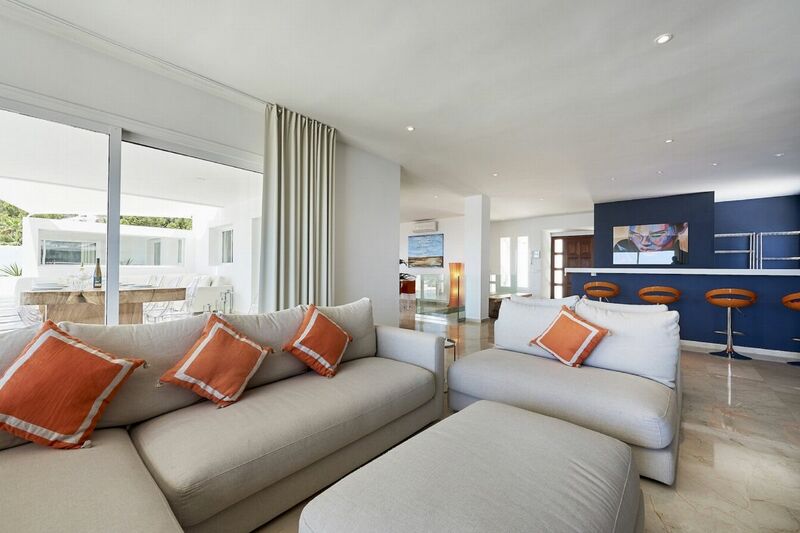 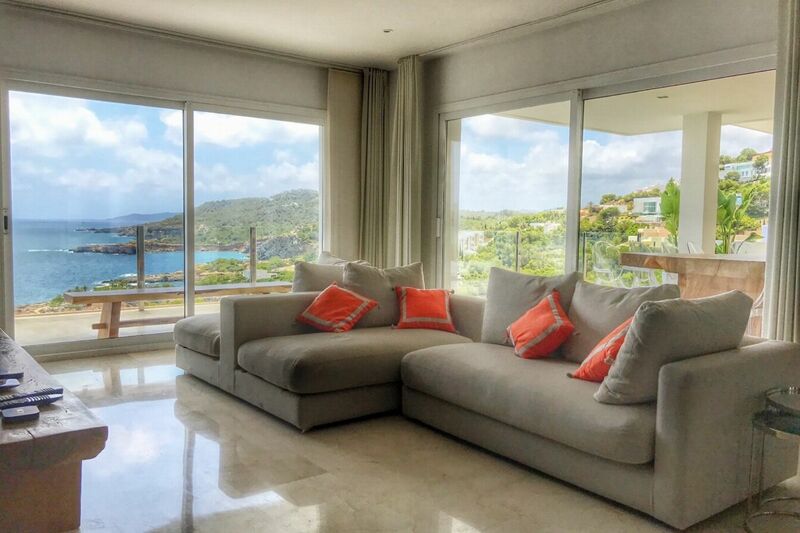 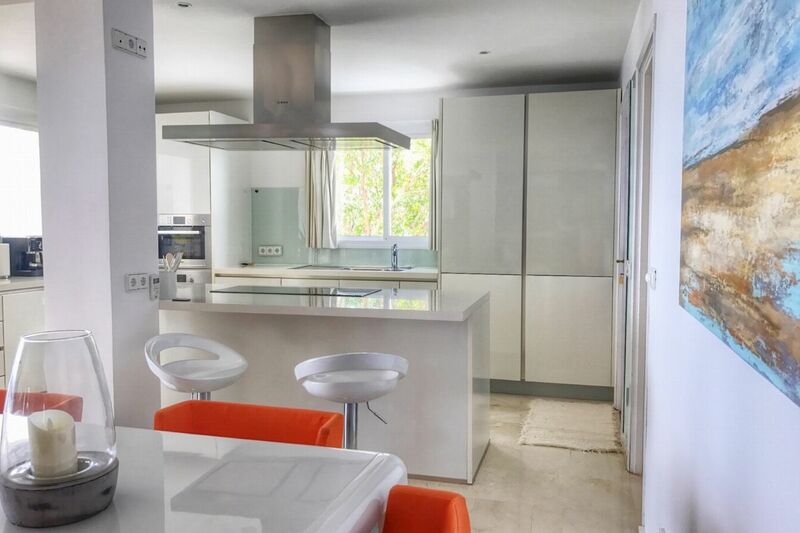 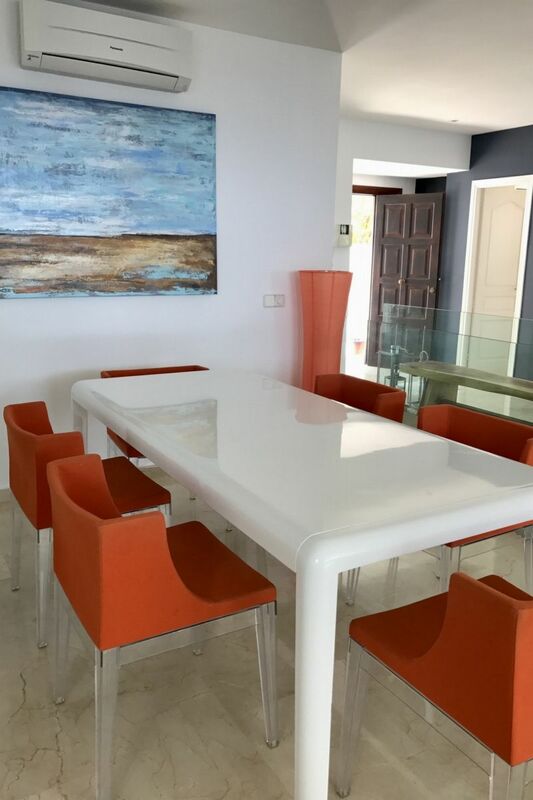 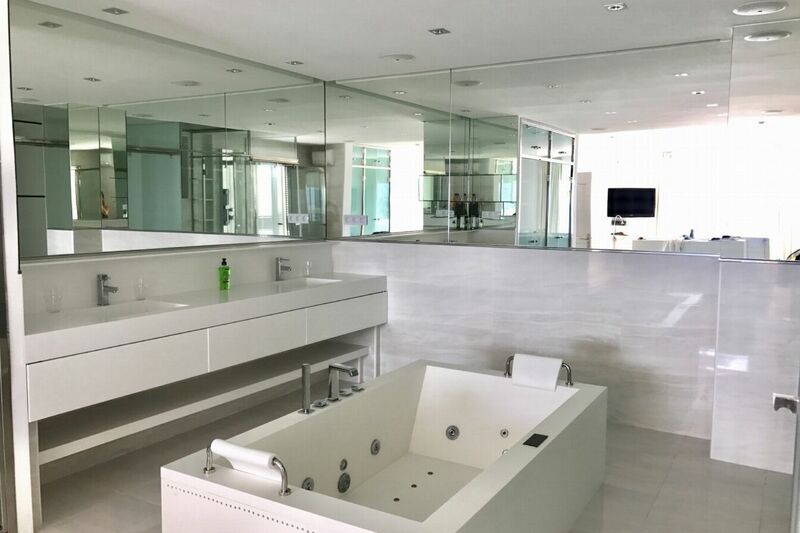 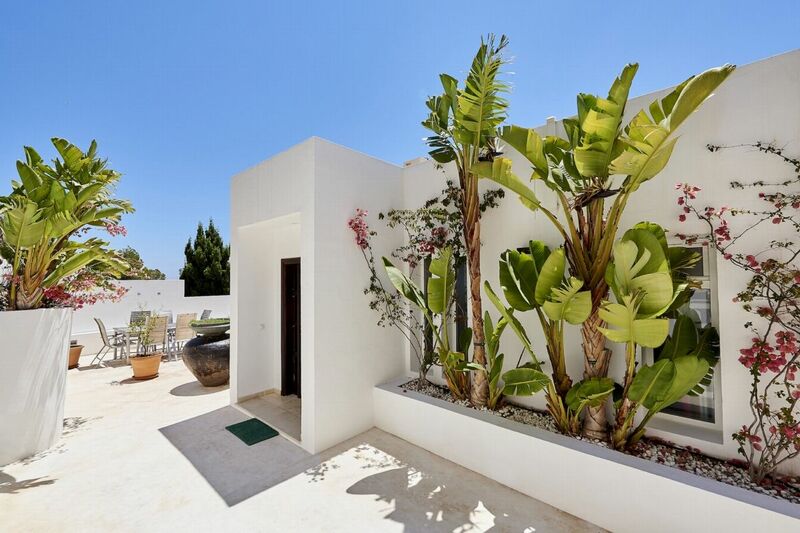 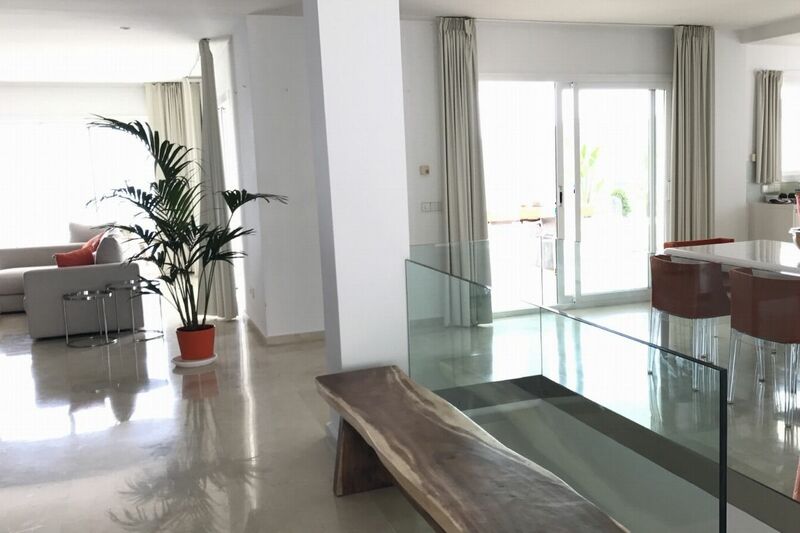 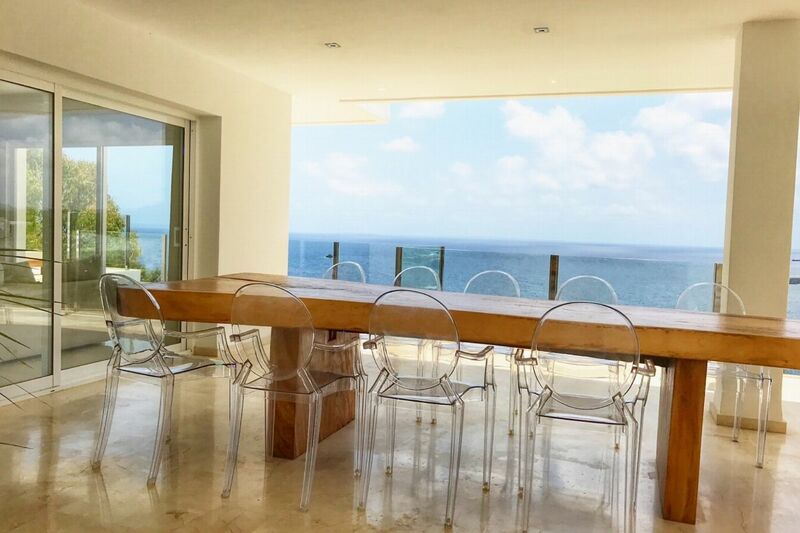 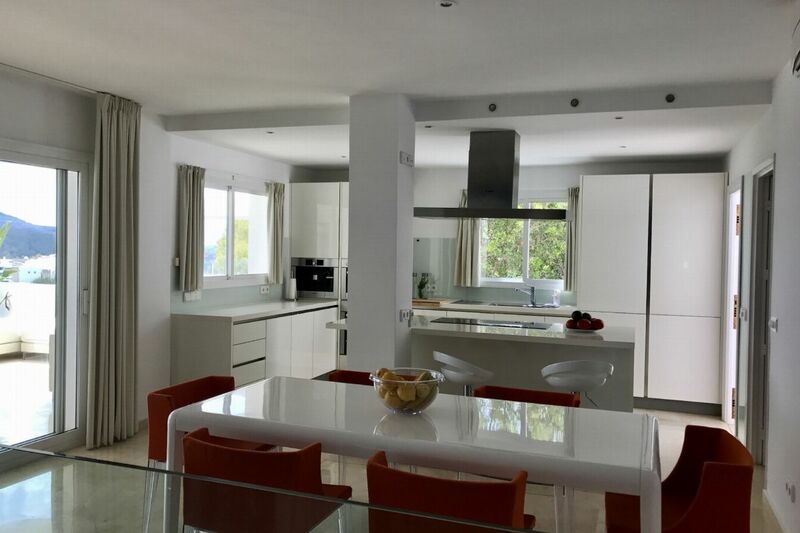 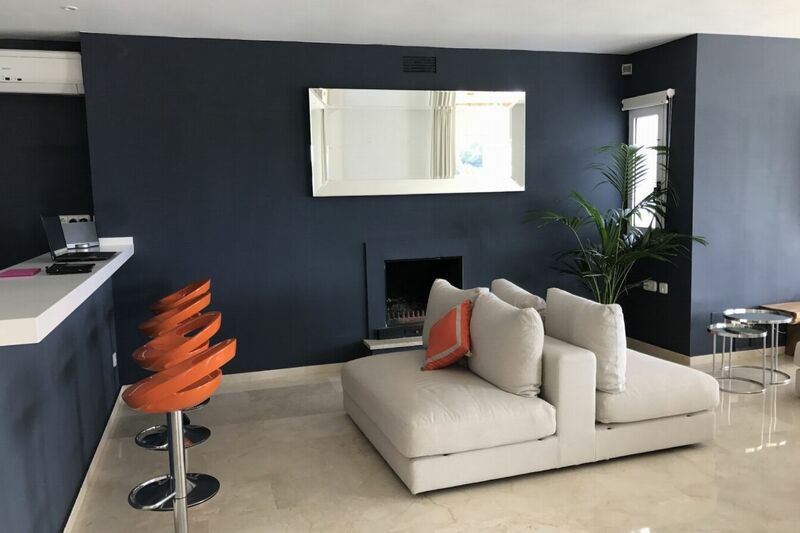 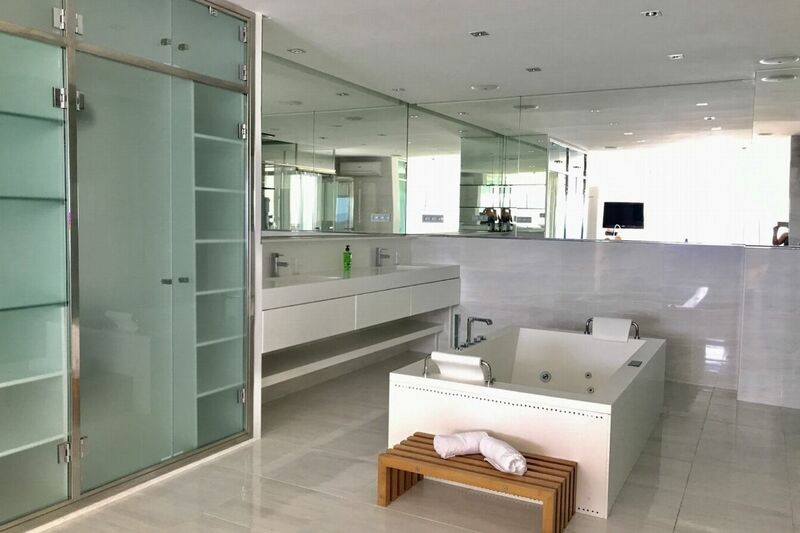 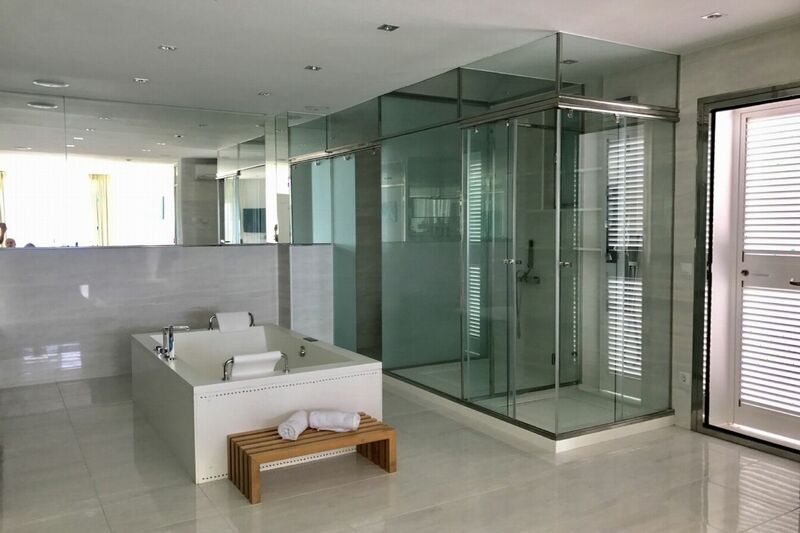 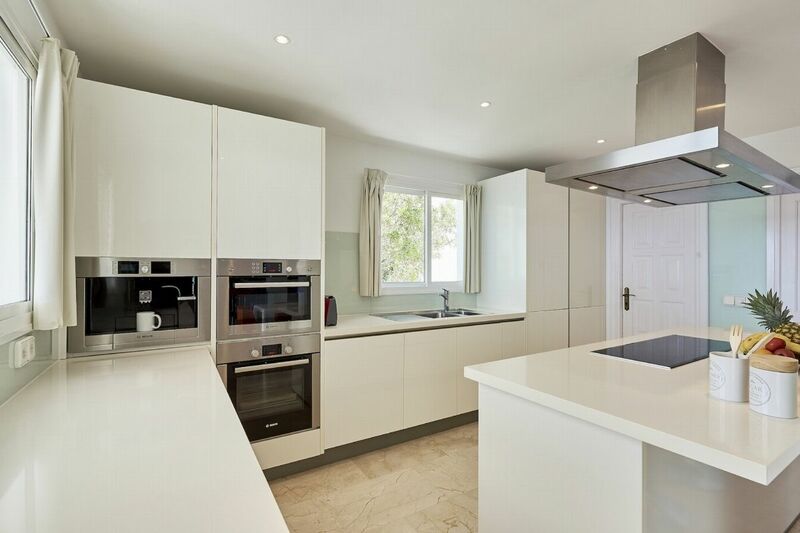 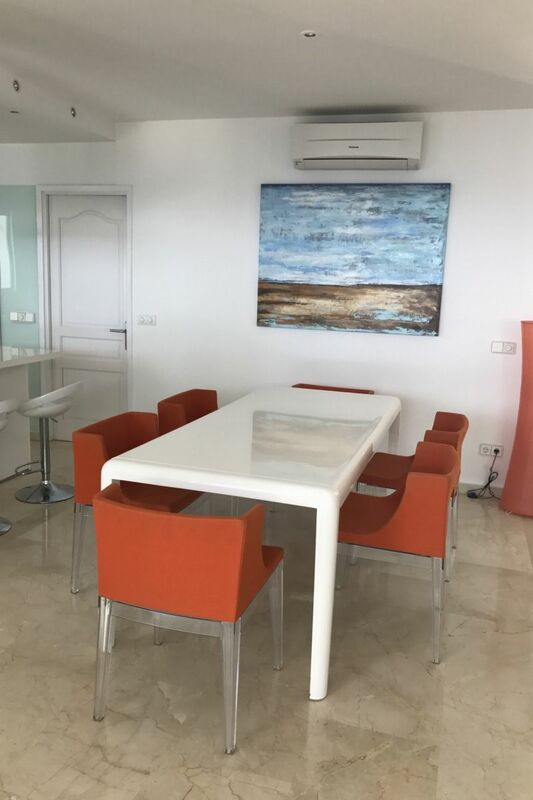 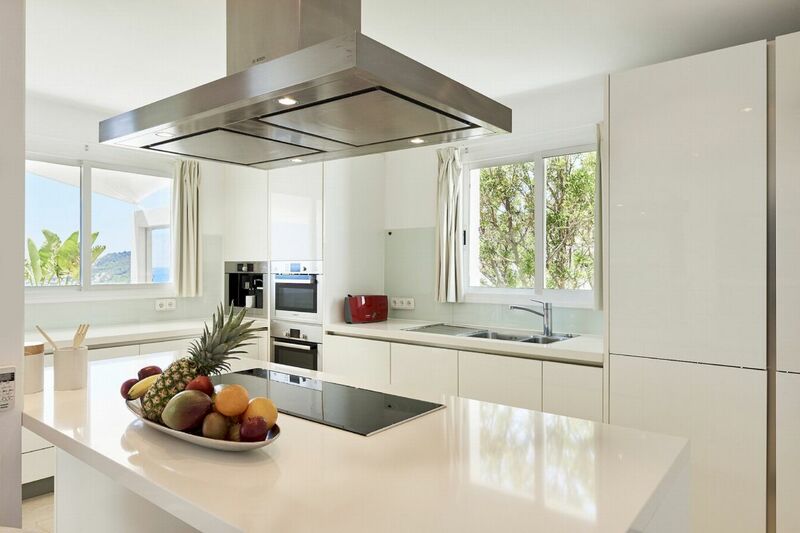 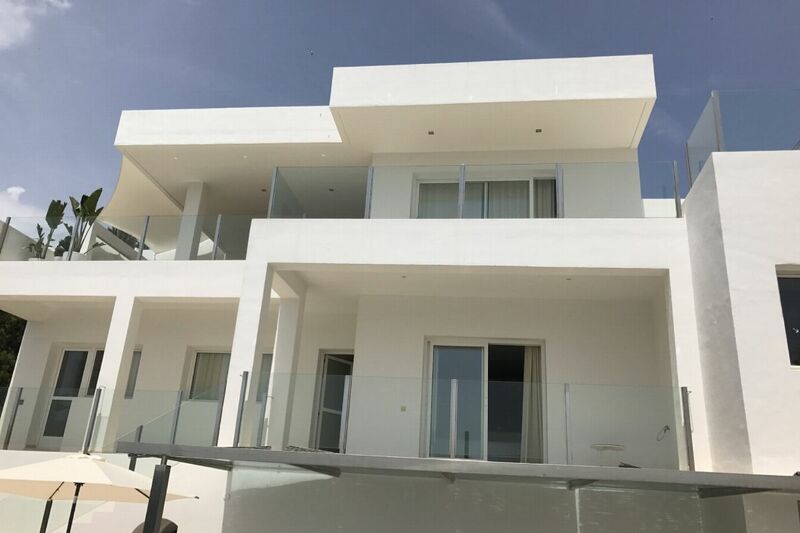 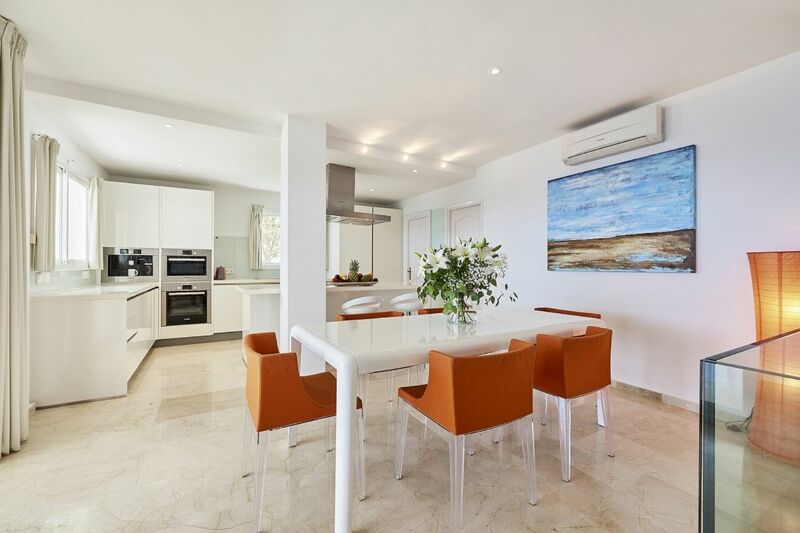 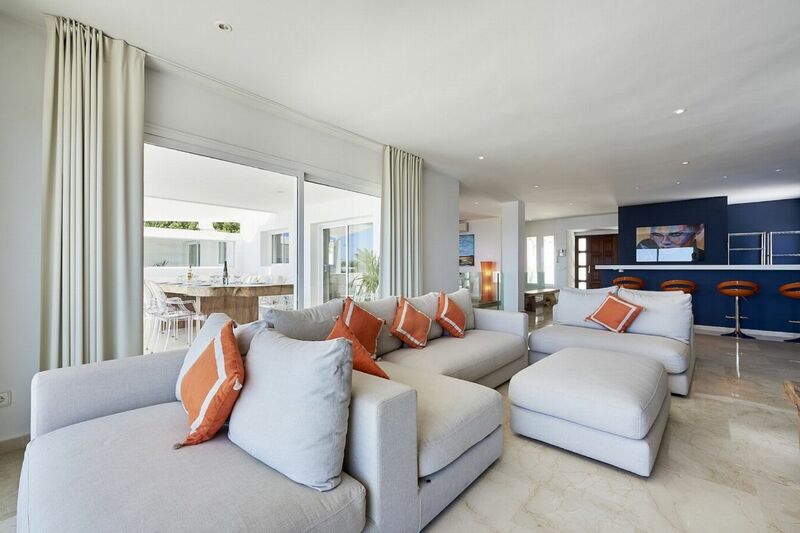 This charming 4 bedroom modern villa is located in Roca Llisa, a much sought after 24 hour guarded secure urbanisation. 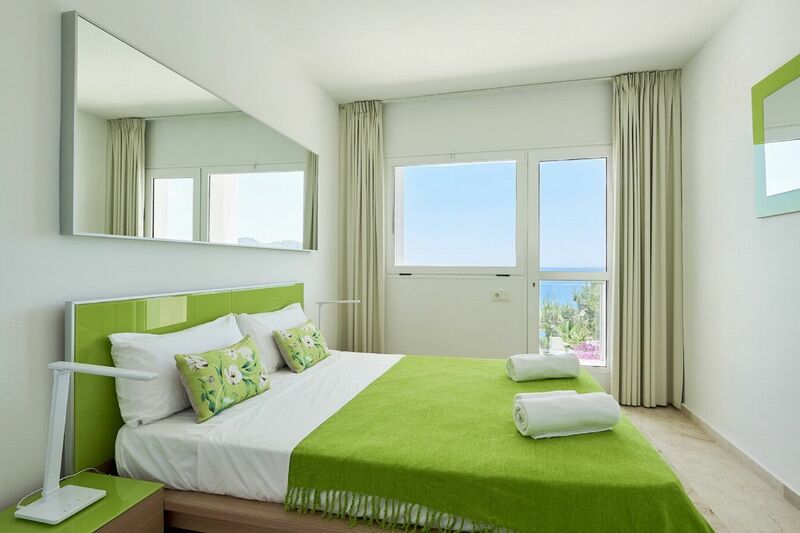 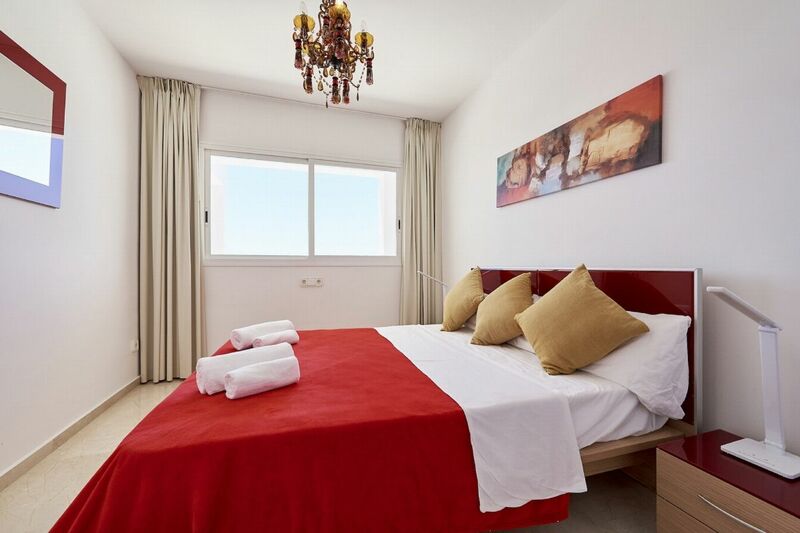 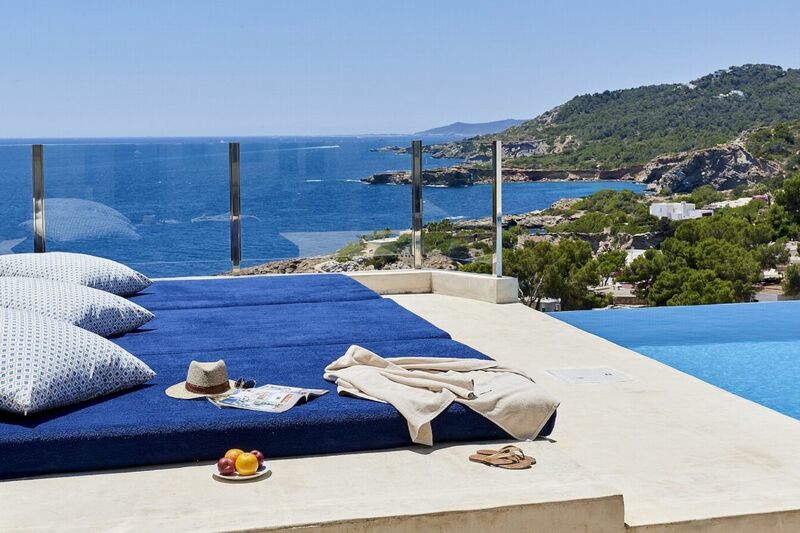 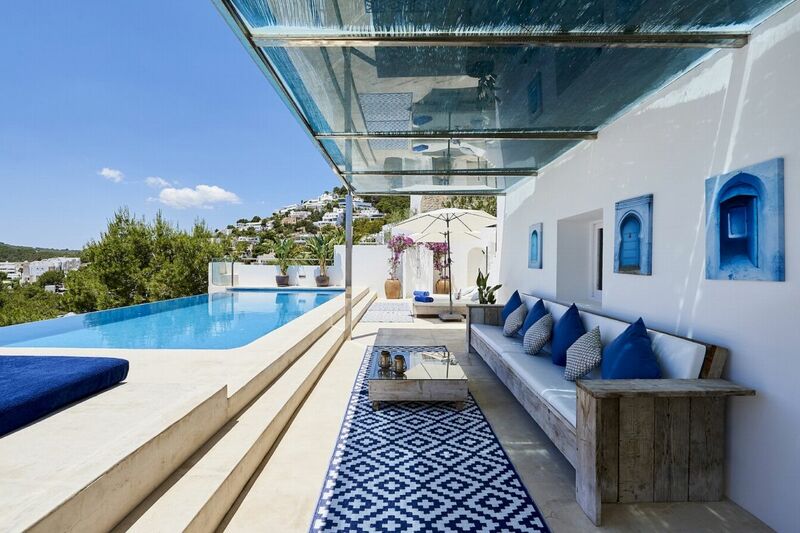 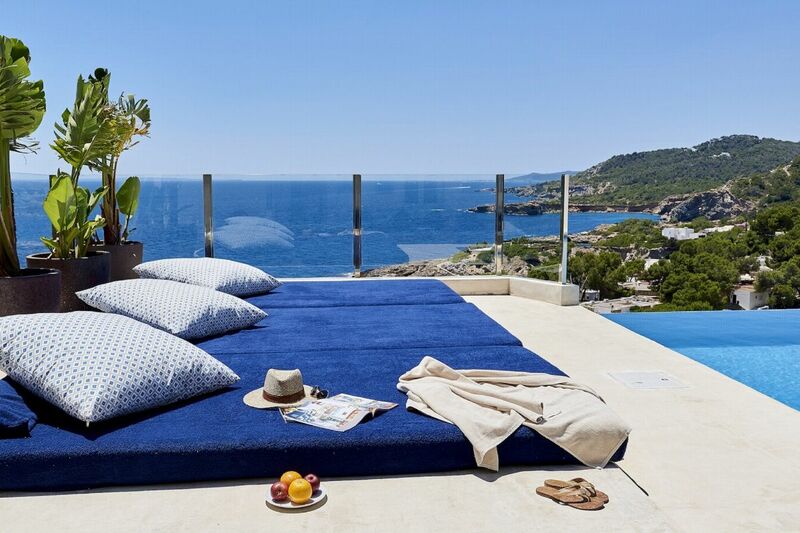 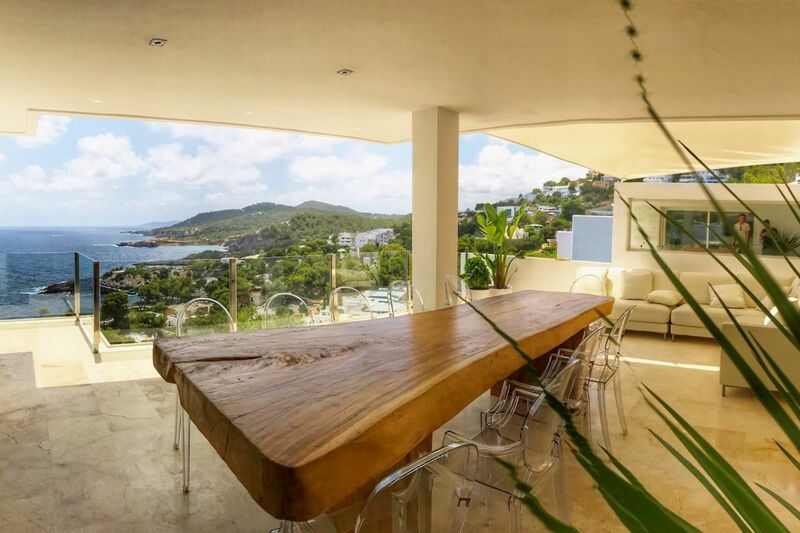 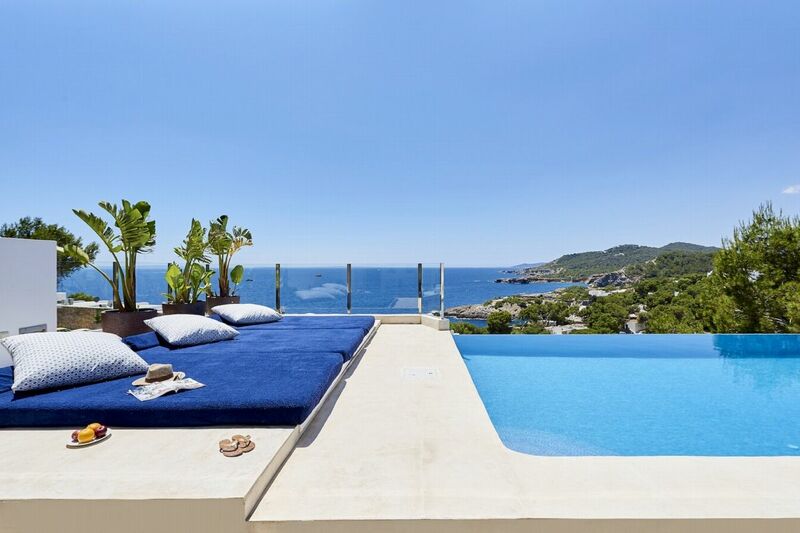 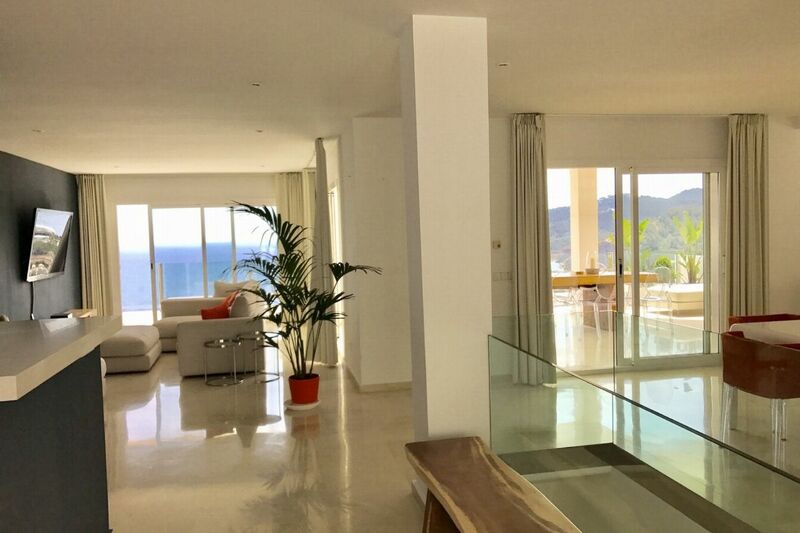 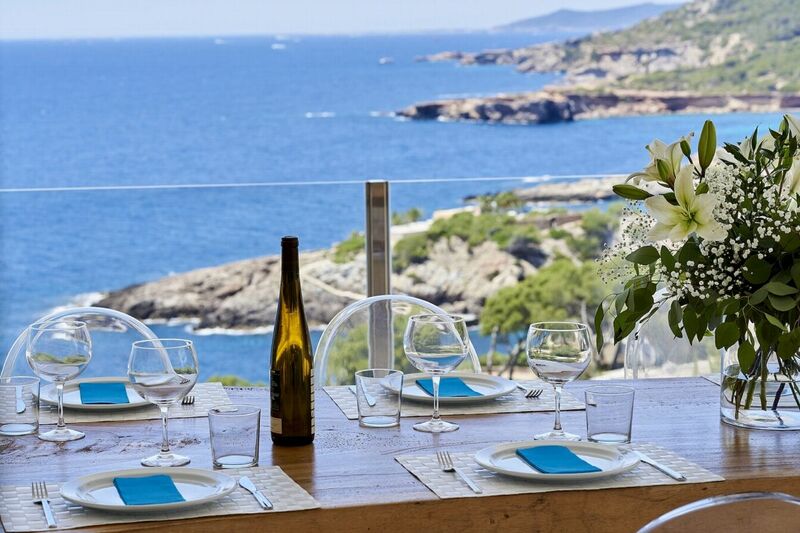 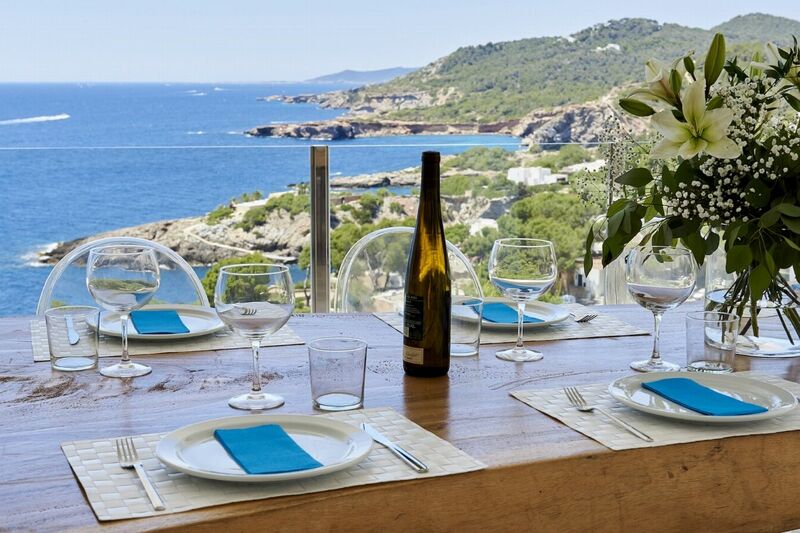 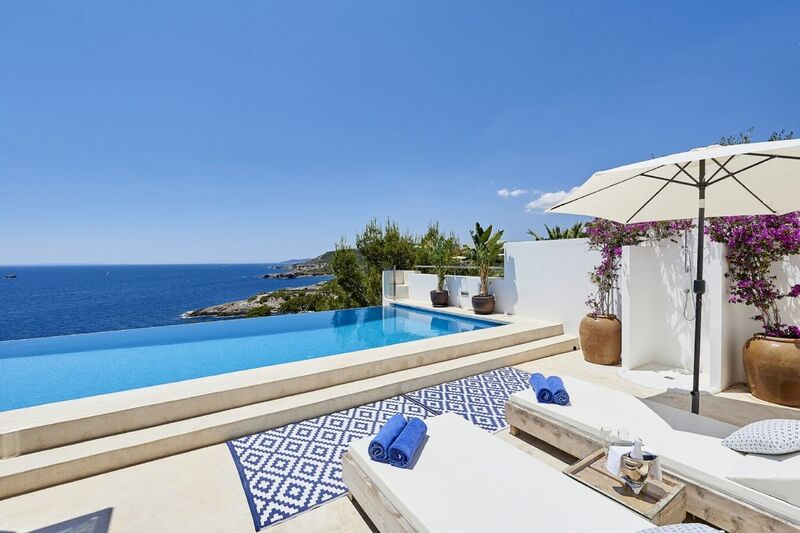 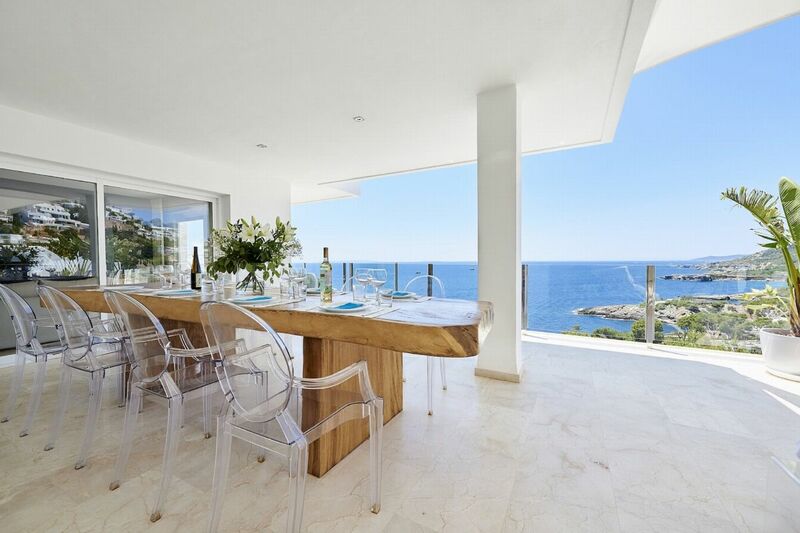 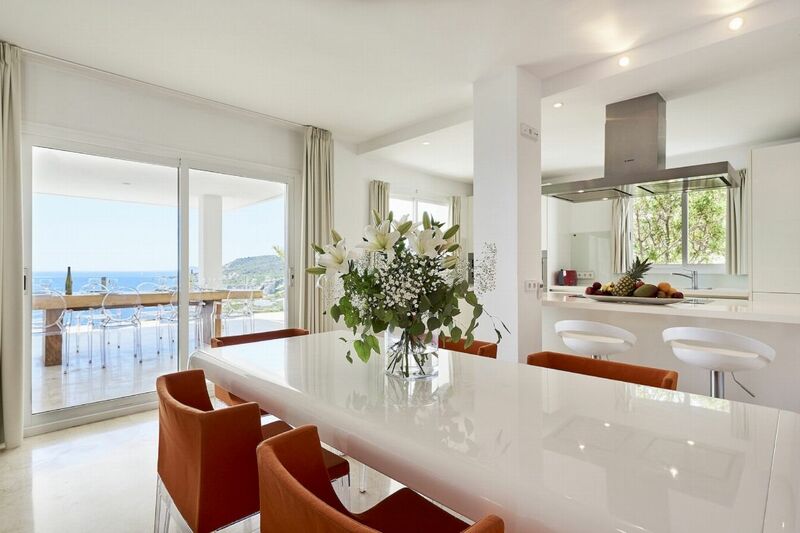 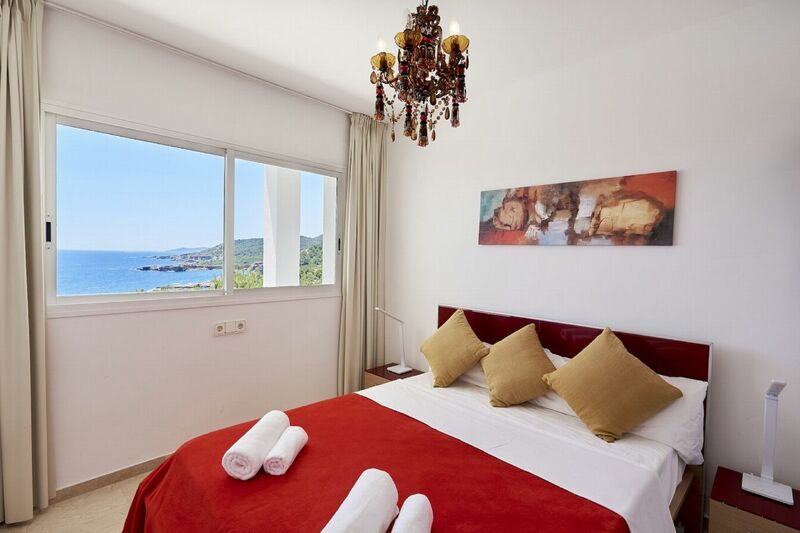 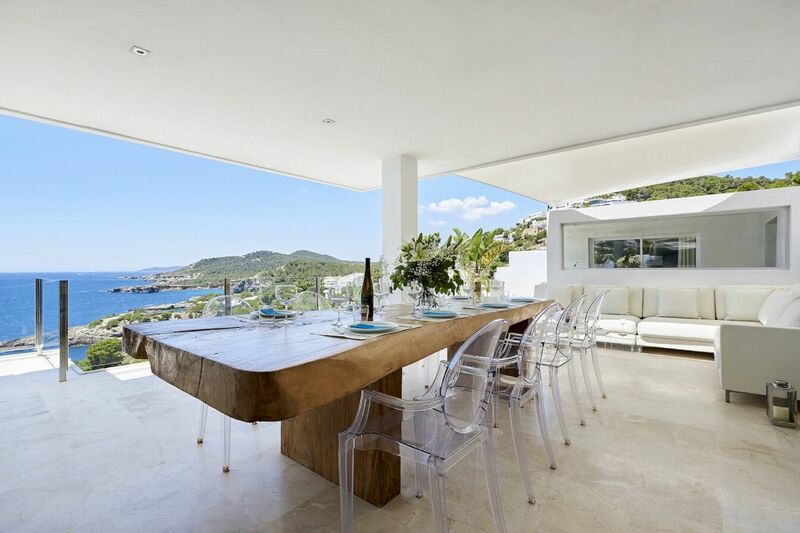 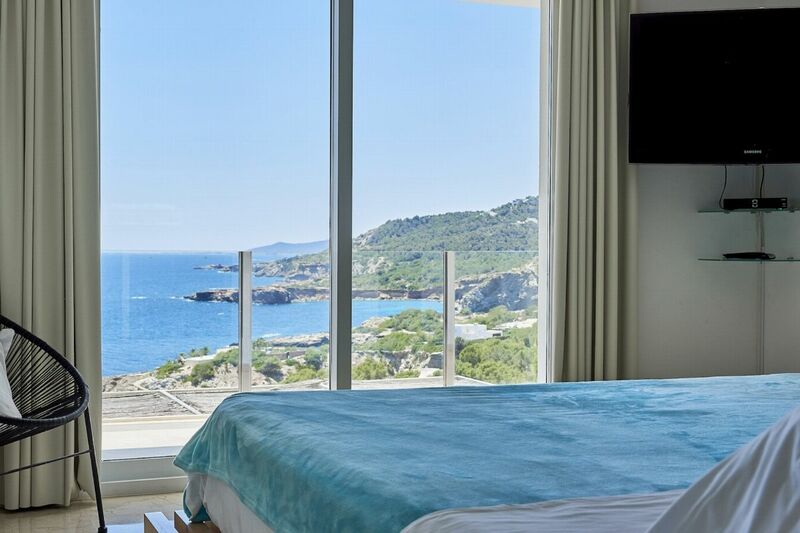 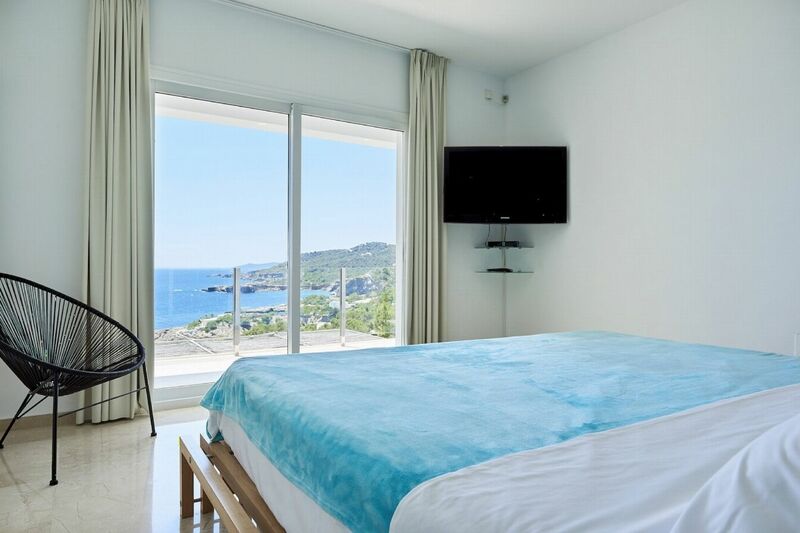 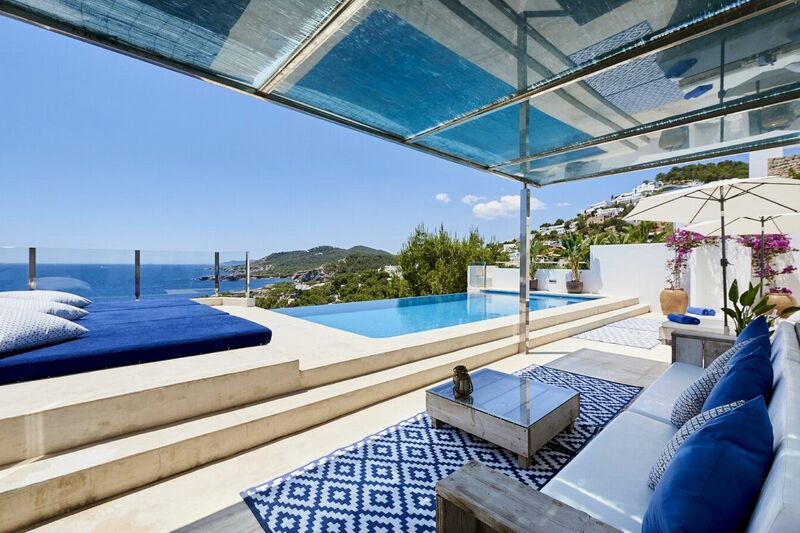 Situated half-way between Ibiza town and Santa Eulalia del Rio, nearby the villages of JesÃºs and Cala Llonga. 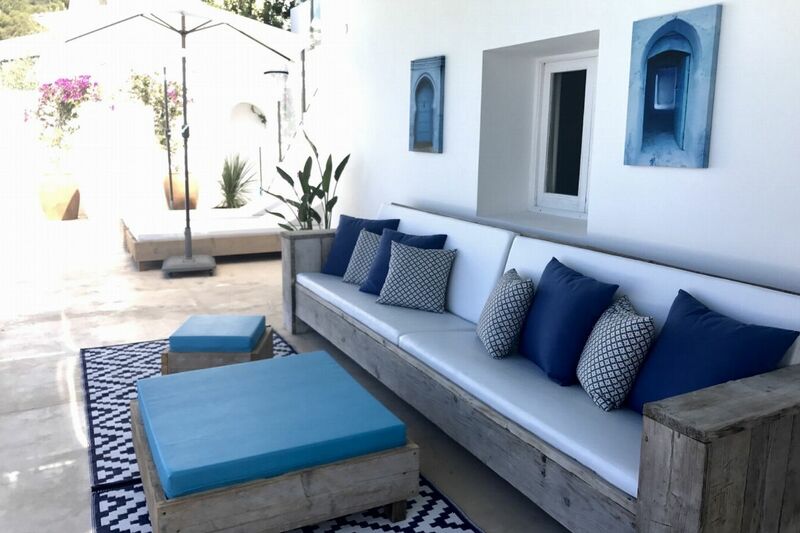 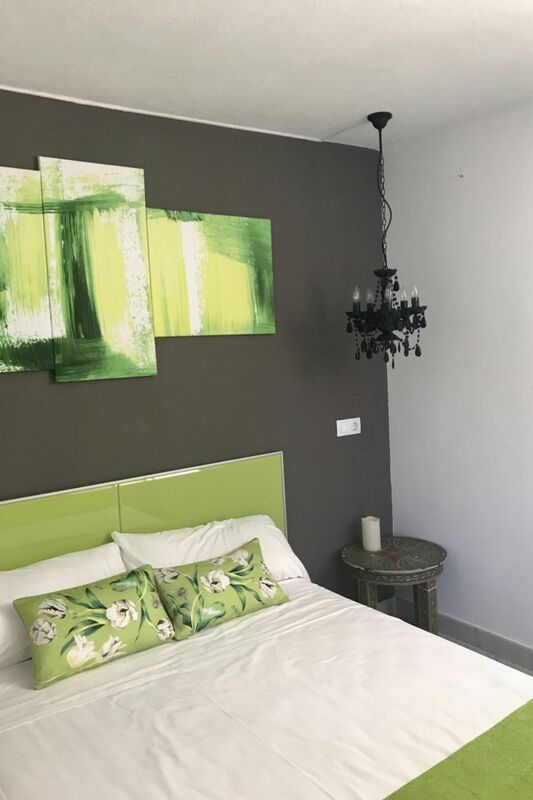 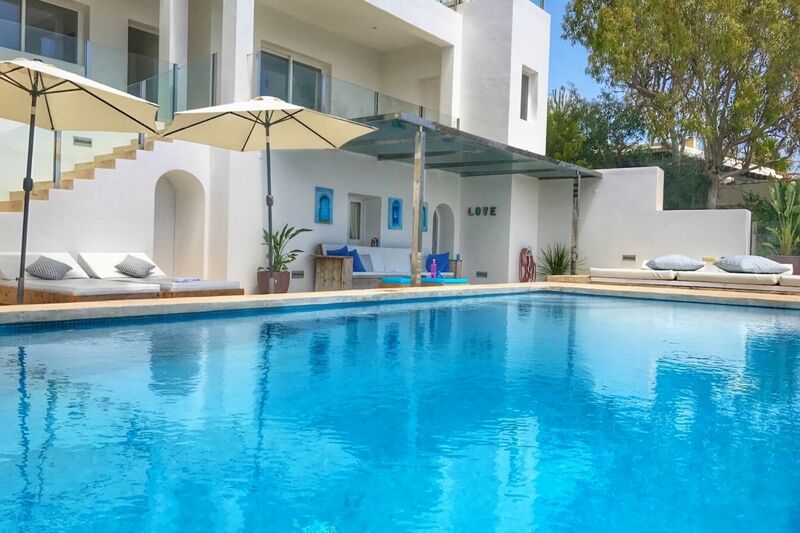 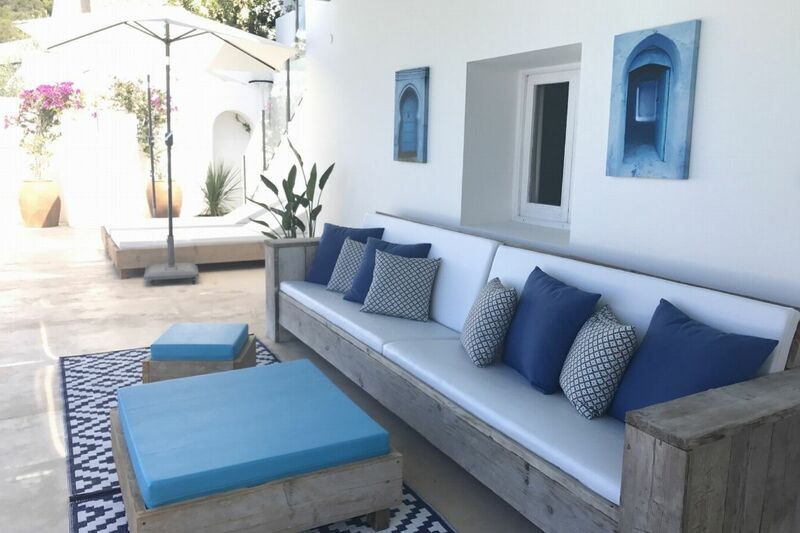 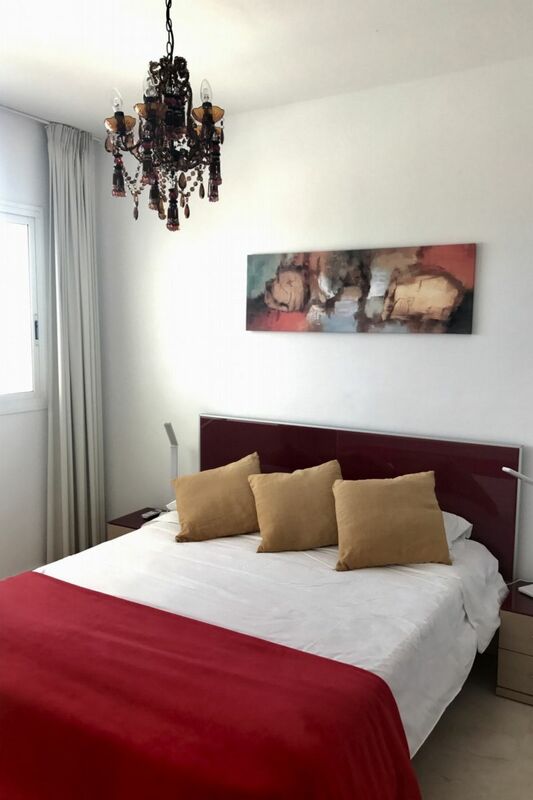 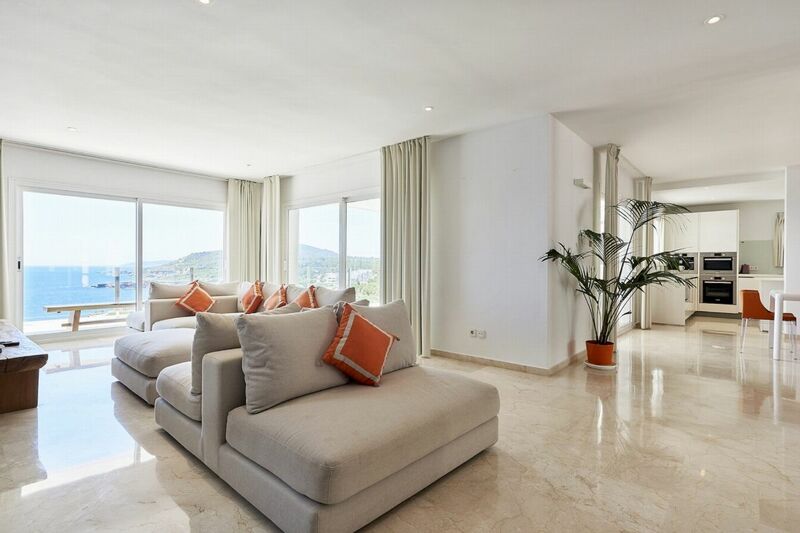 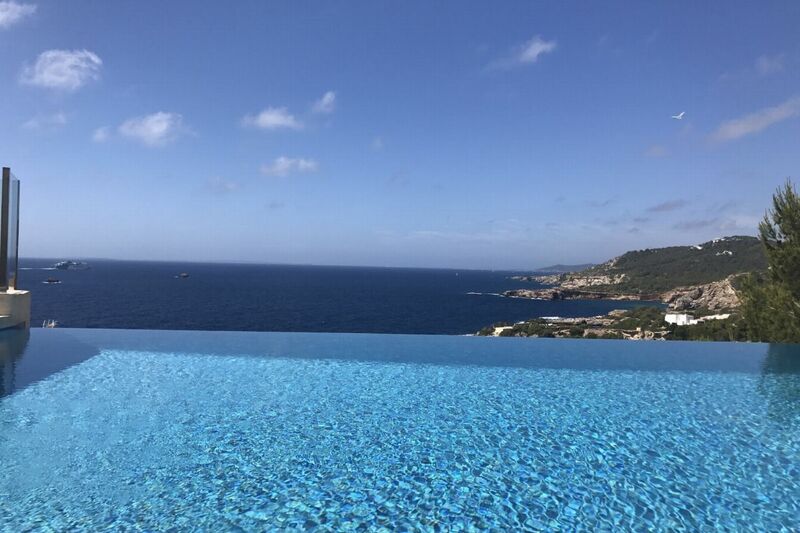 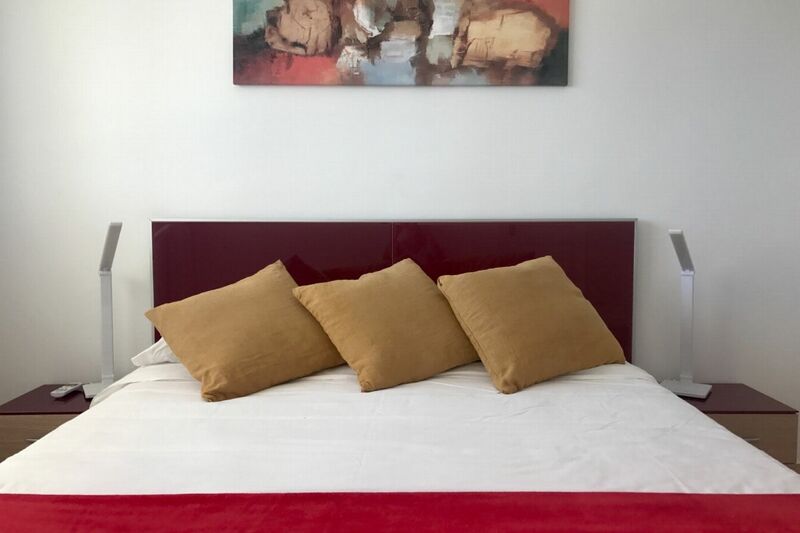 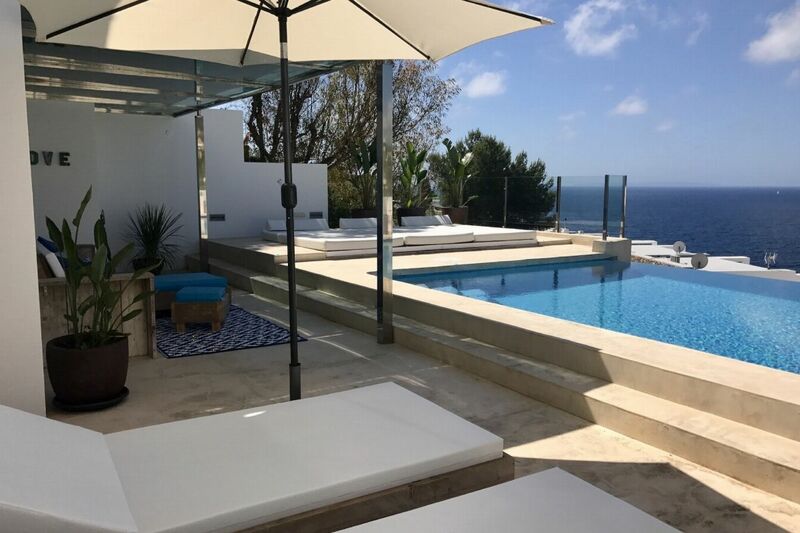 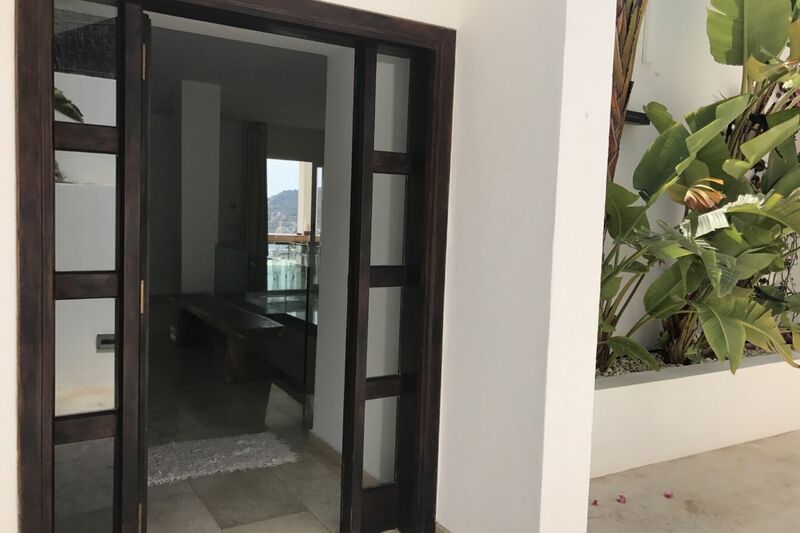 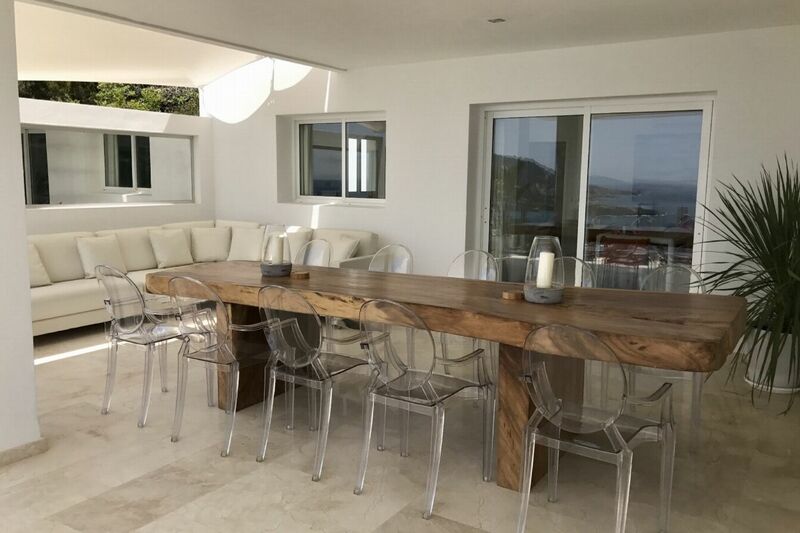 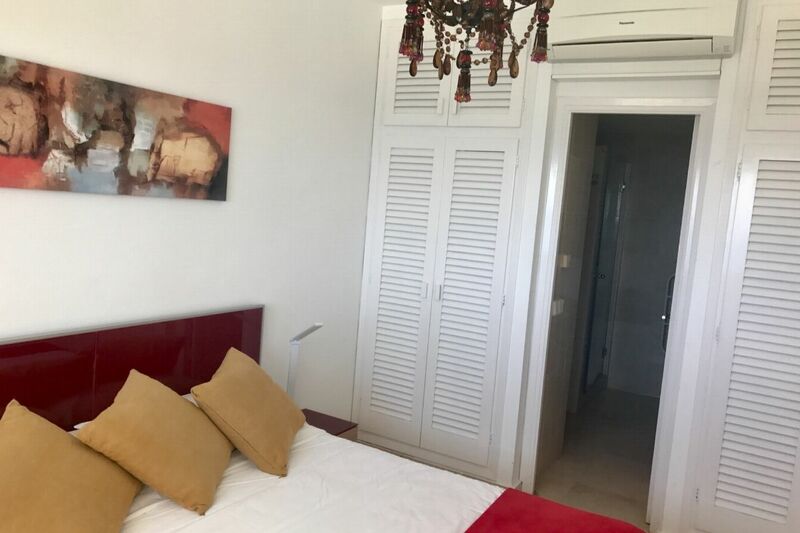 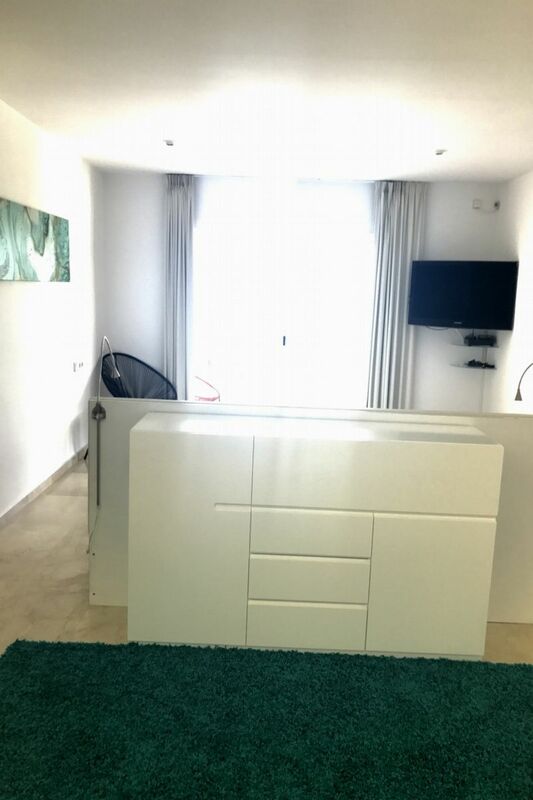 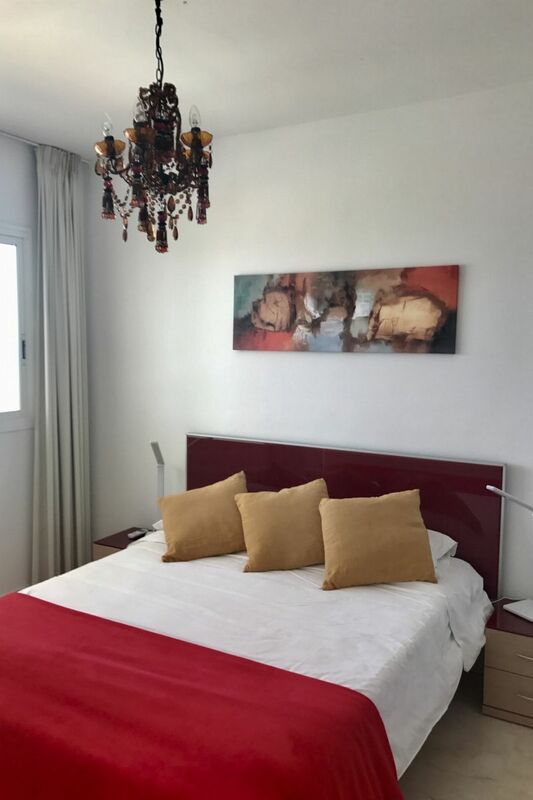 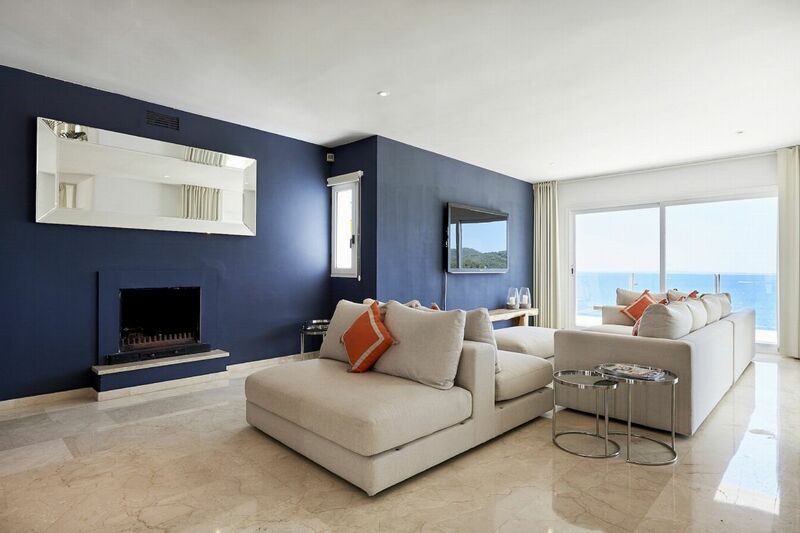 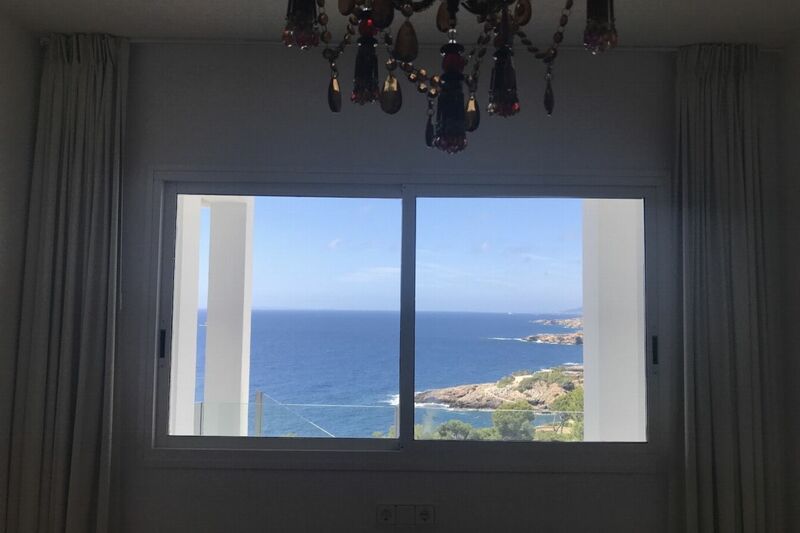 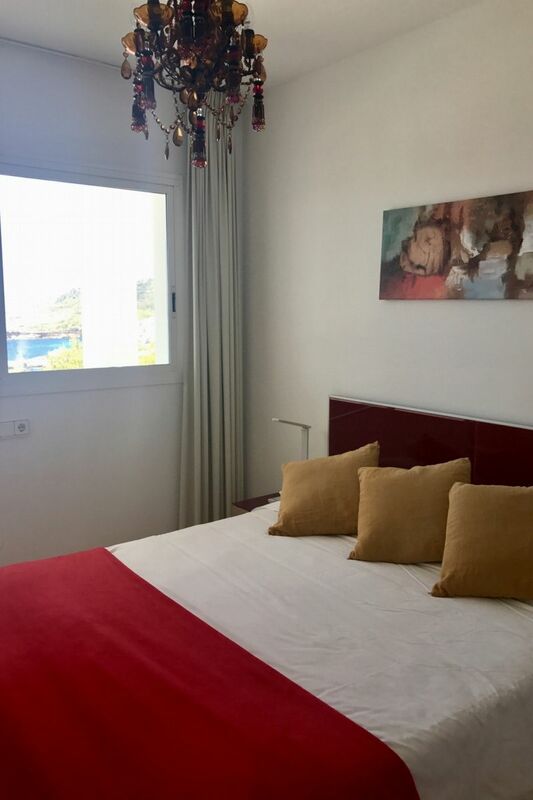 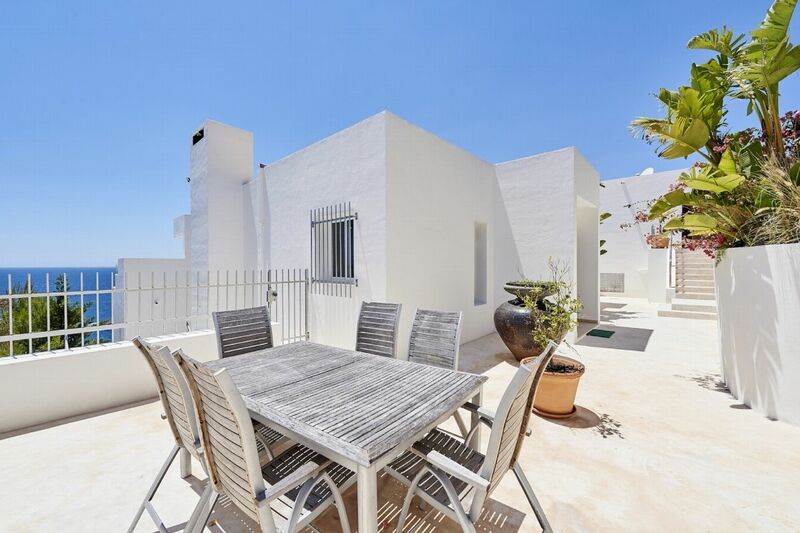 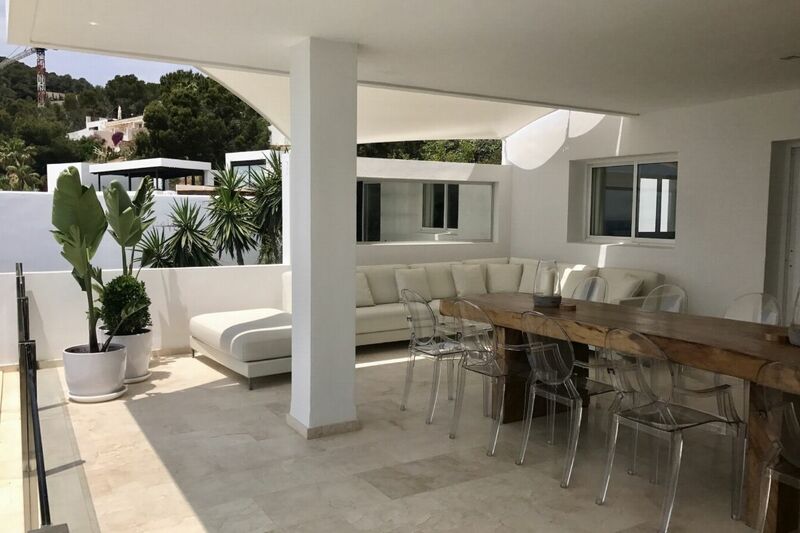 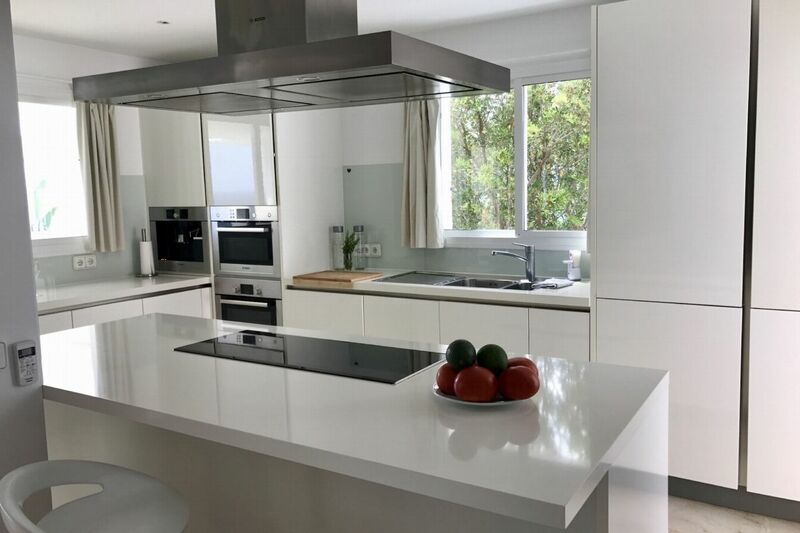 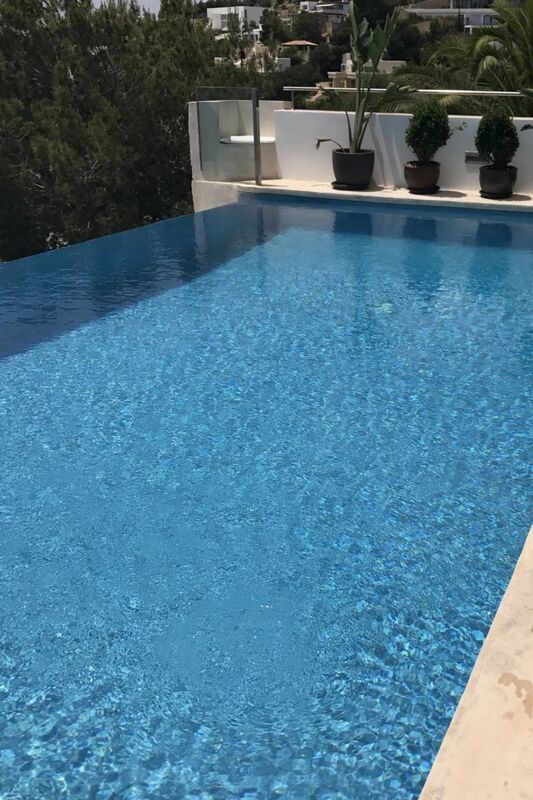 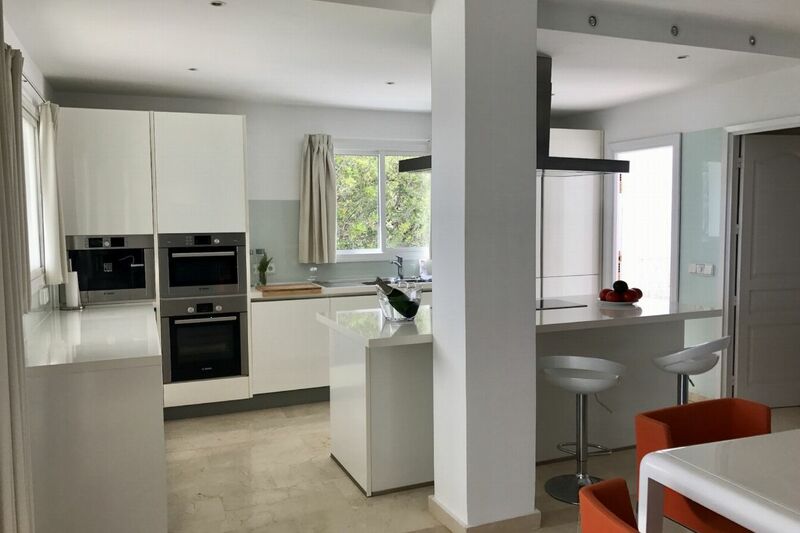 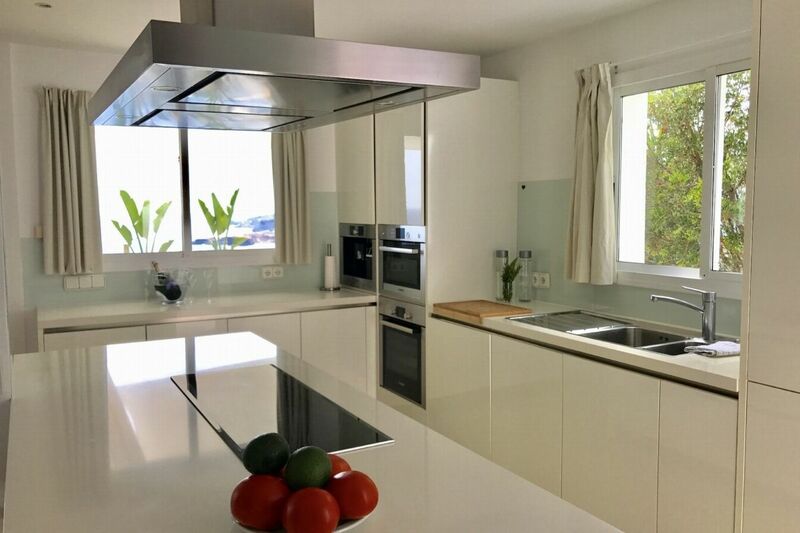 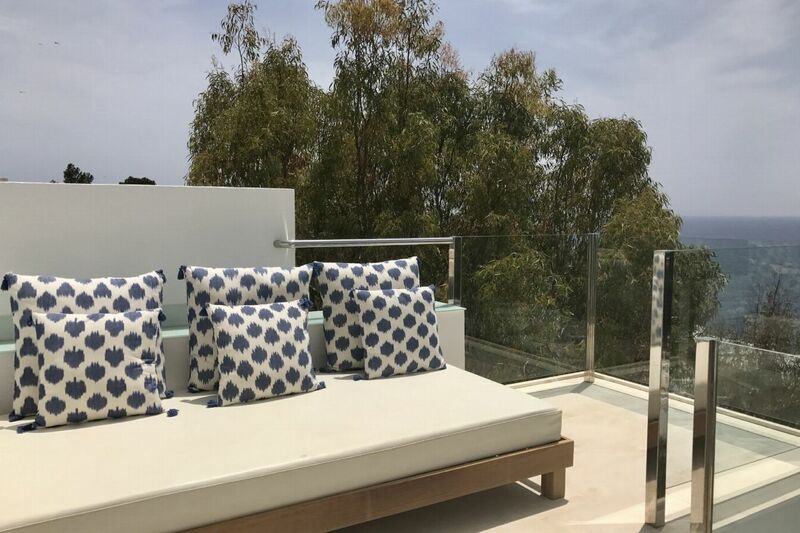 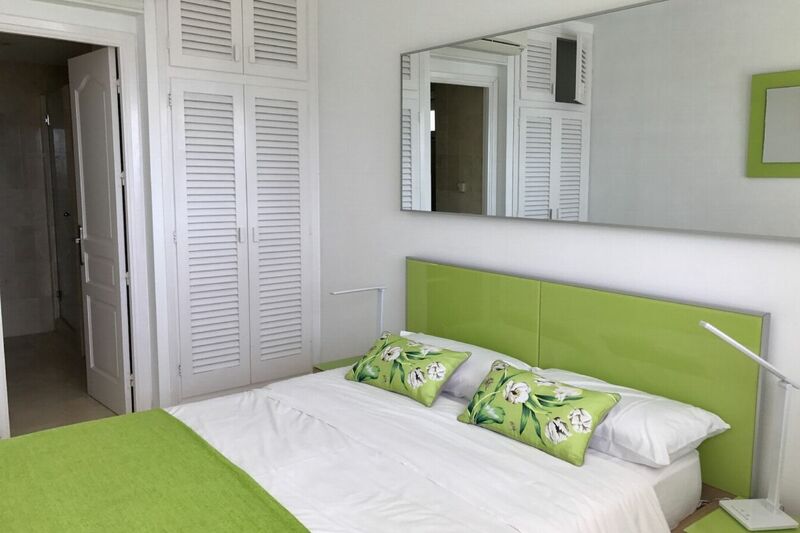 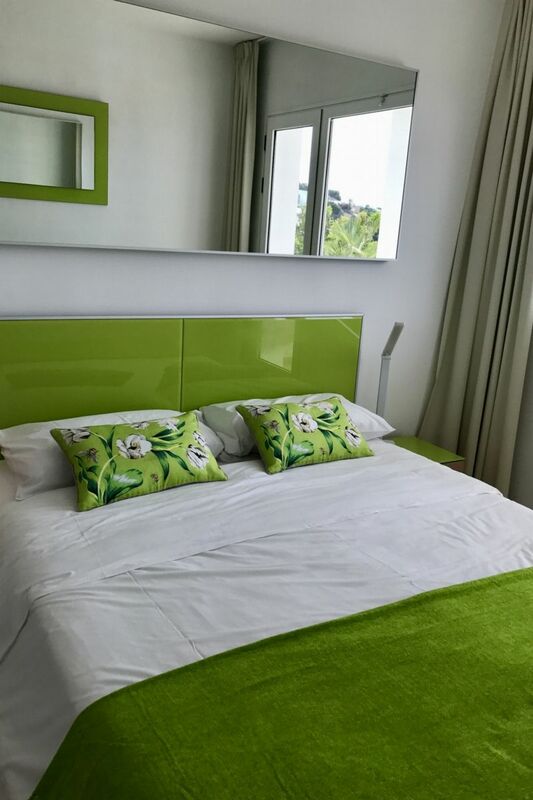 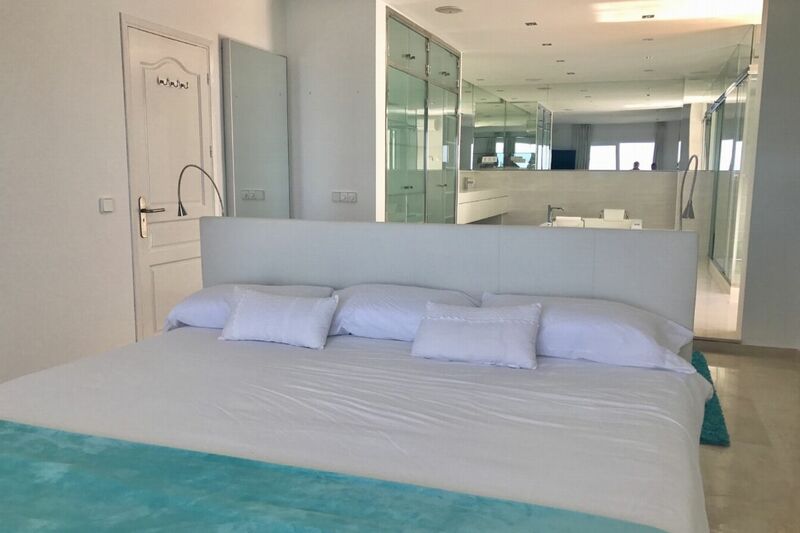 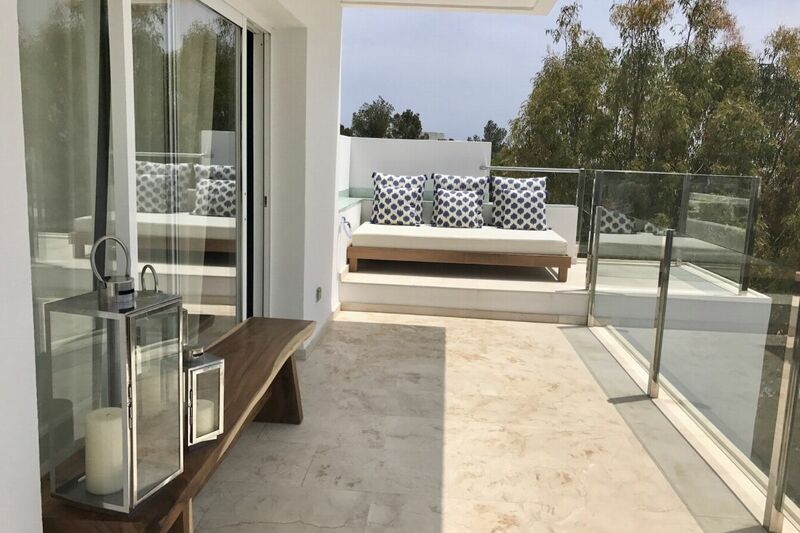 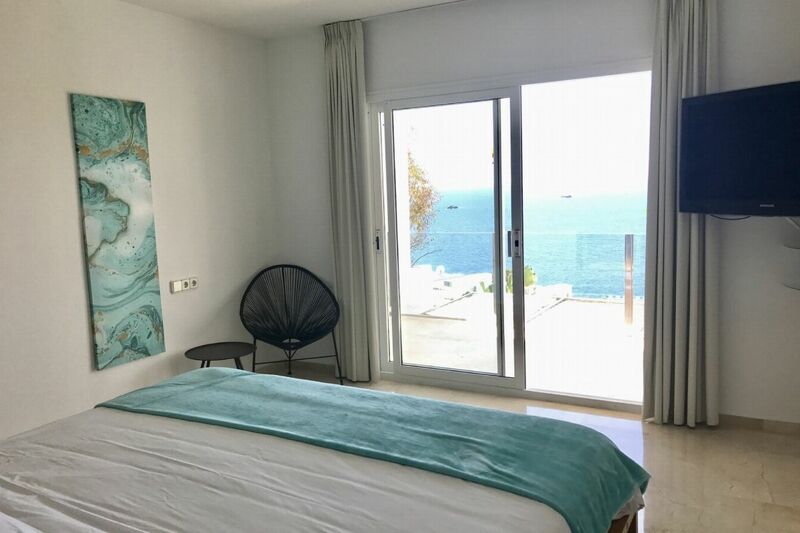 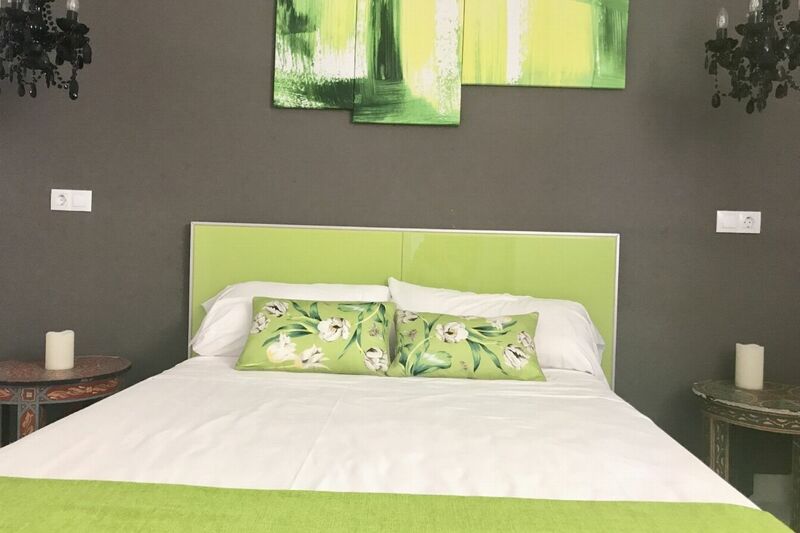 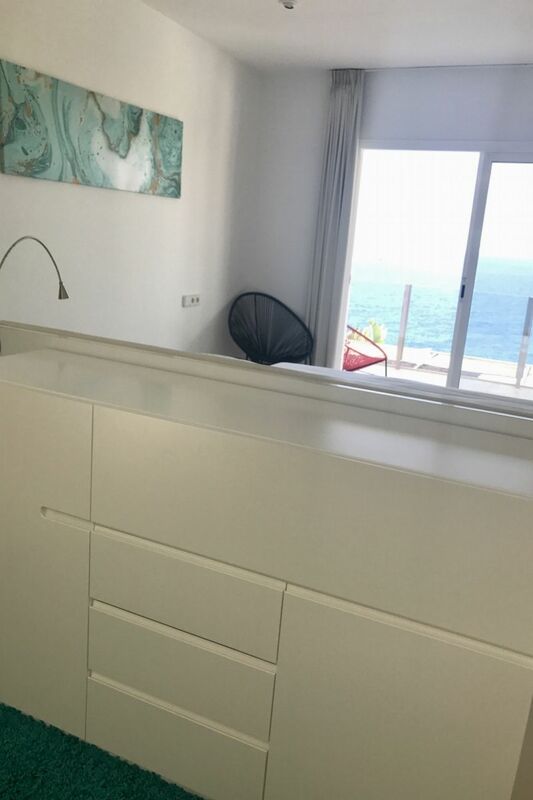 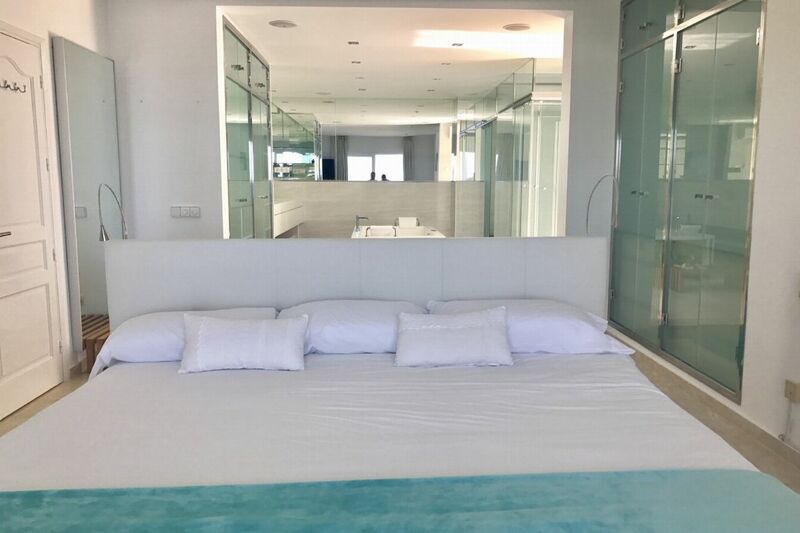 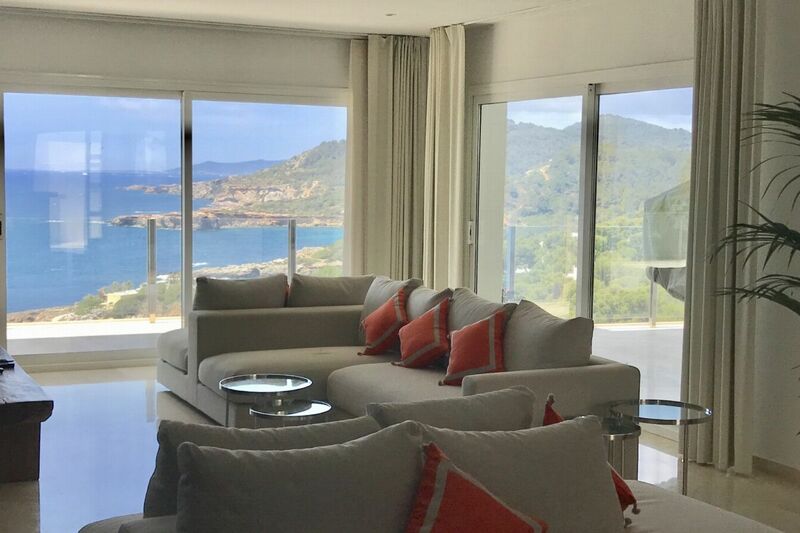 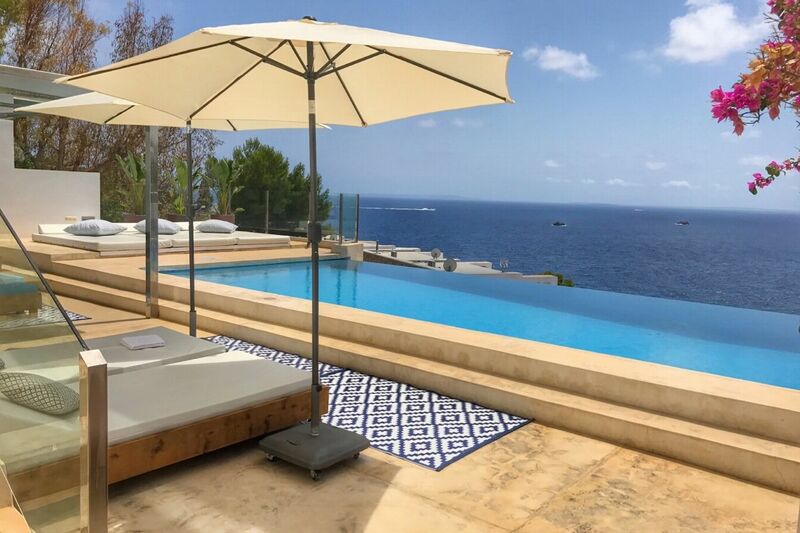 It's considered, by many, to one of the best spots on the island, it is a peaceful haven, with golf nearby and the hustle and bustle of Ibiza Town and Santa Eulalia just 10 minutes away. 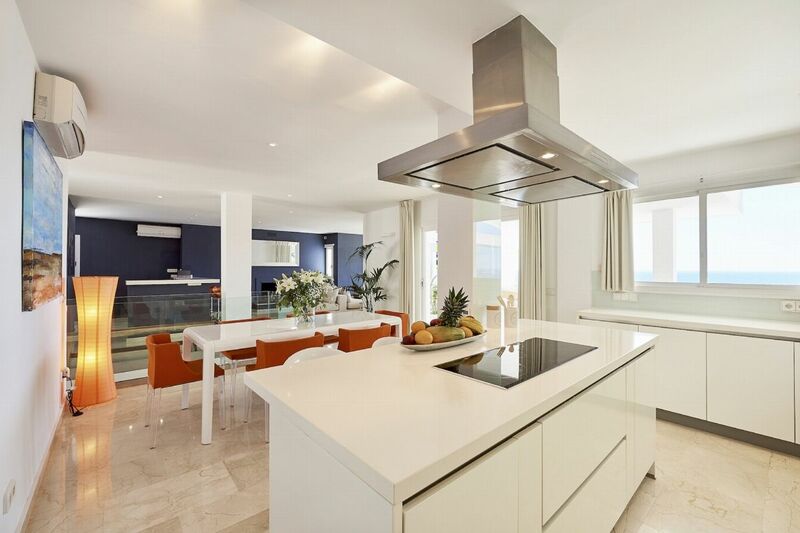 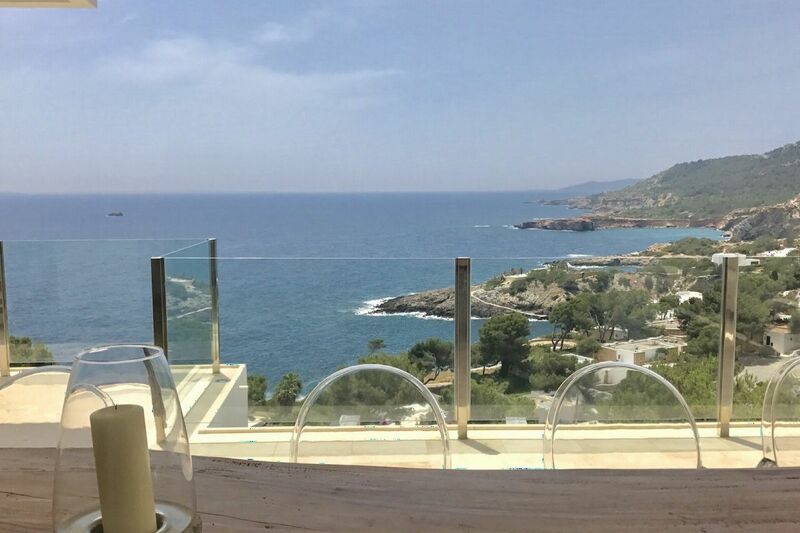 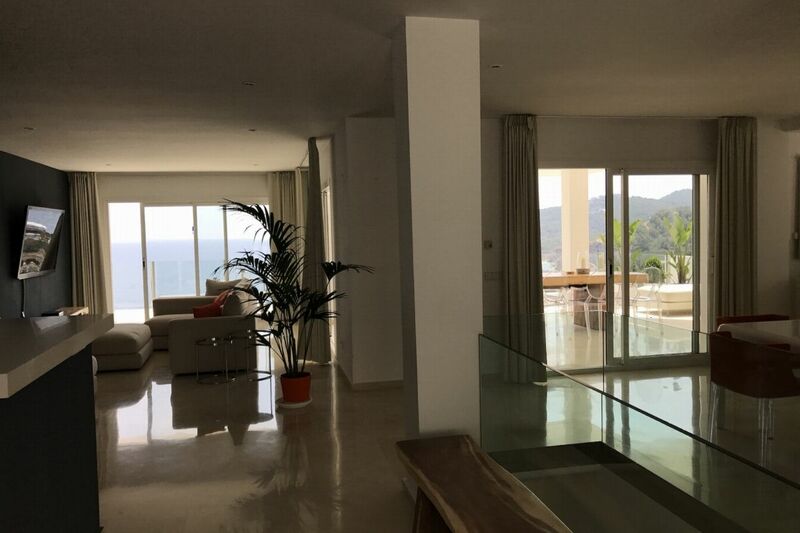 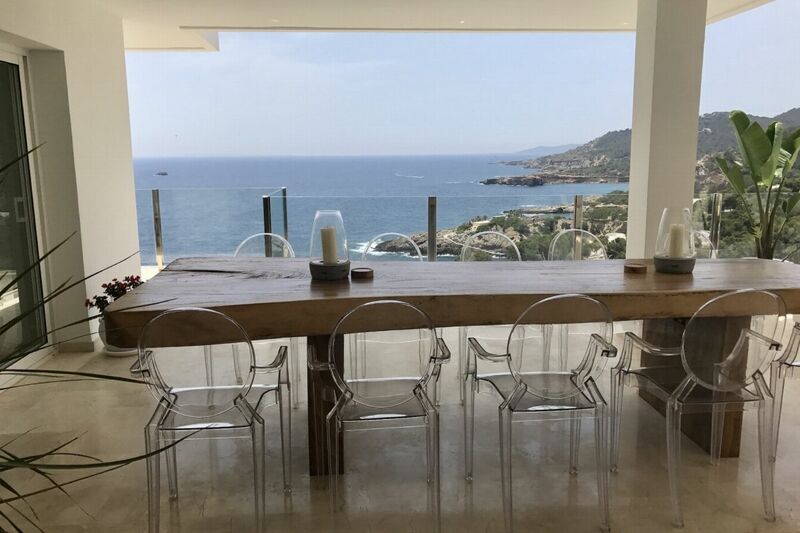 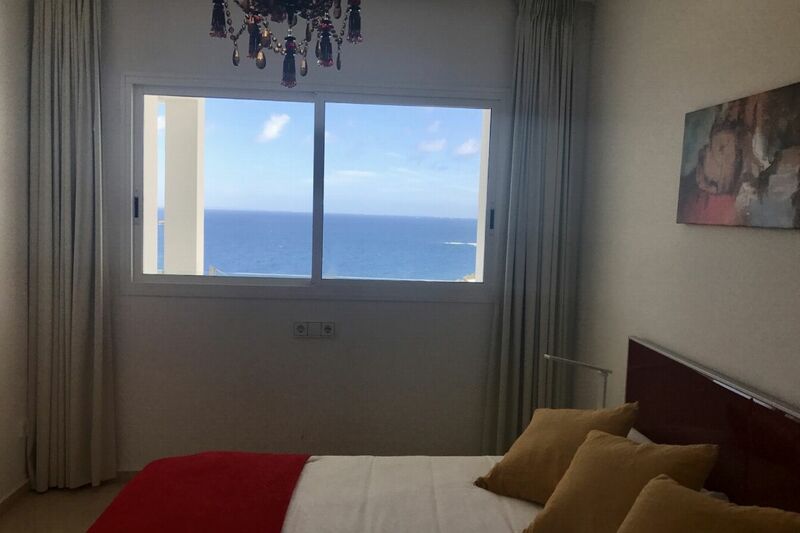 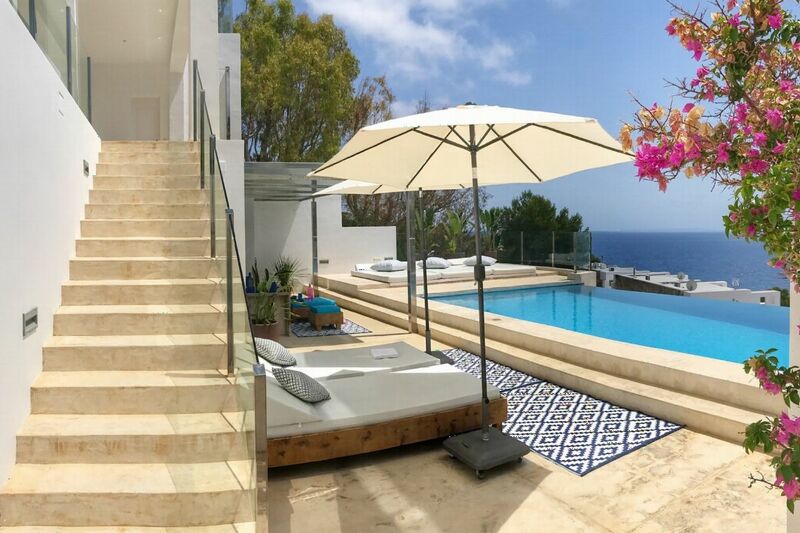 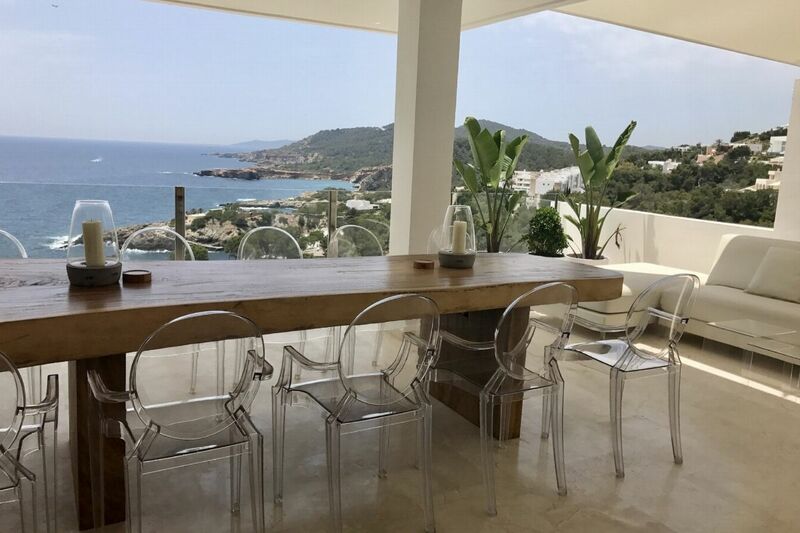 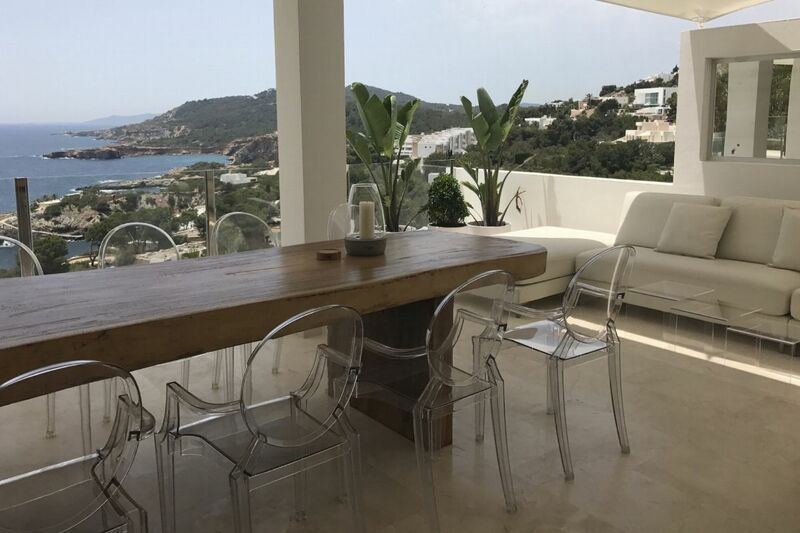 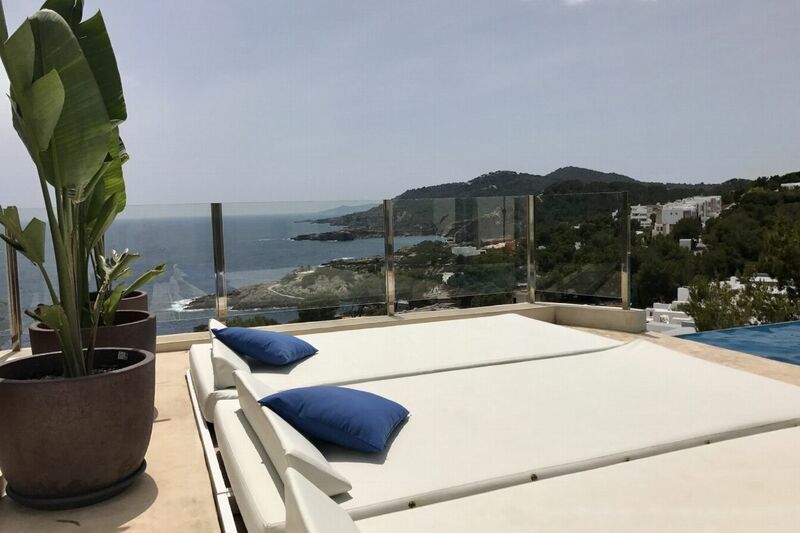 Built over several floors it has beautiful sea views and the gorgeous private beach of Cala Olivera is just a few hundred metres away. 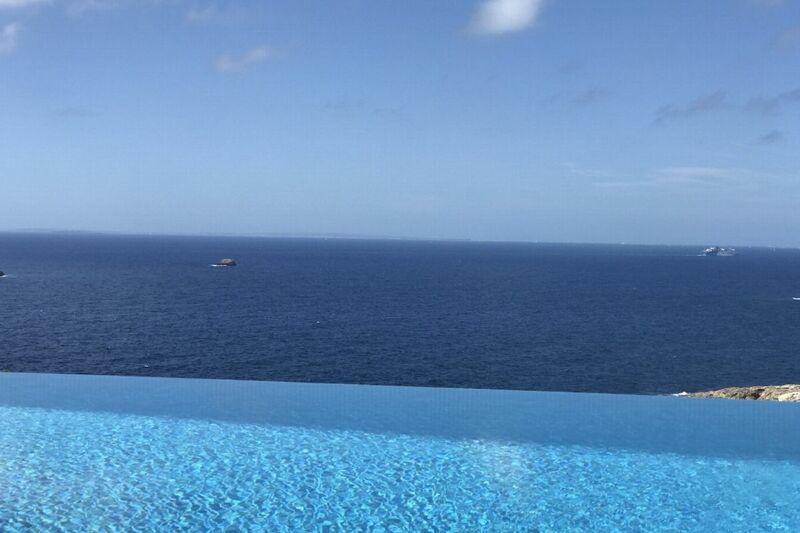 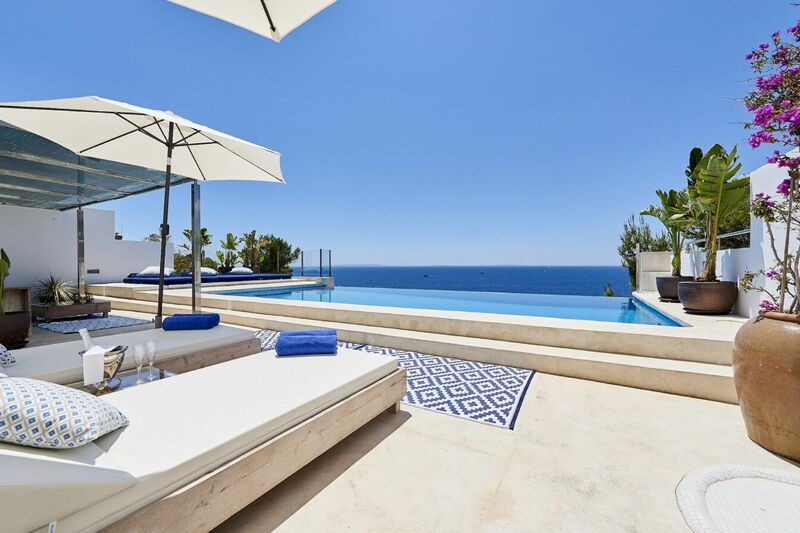 OUTDOOR AREAS All outdoor areas face the Mediterranean Sea, making the view from the pool area is simply magnificent. 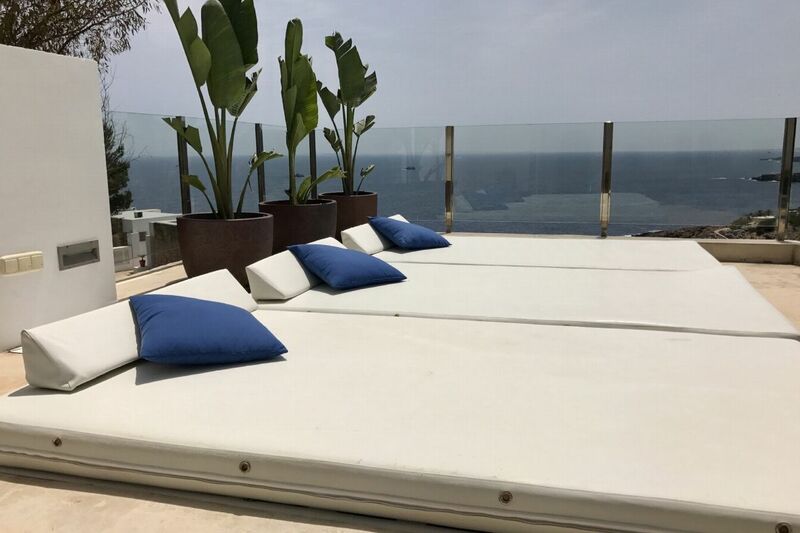 There is a terrace with a chill-out sofa area, a sunbathing area and outdoor dining area. 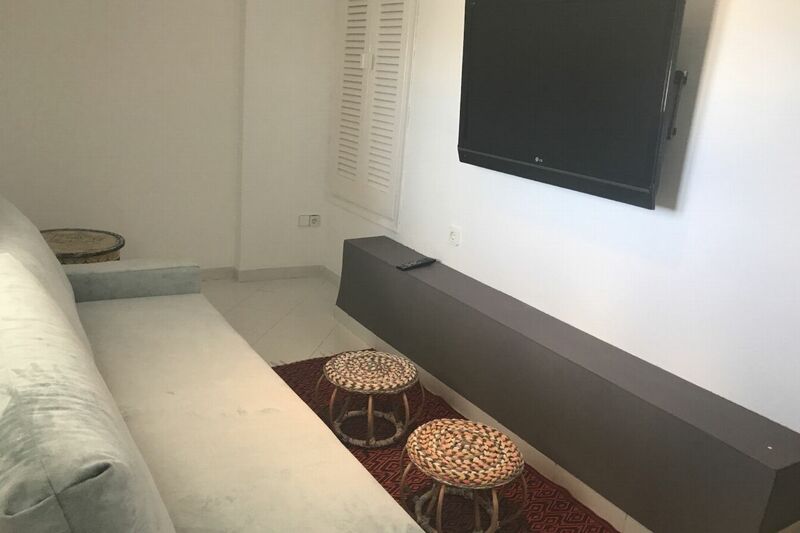 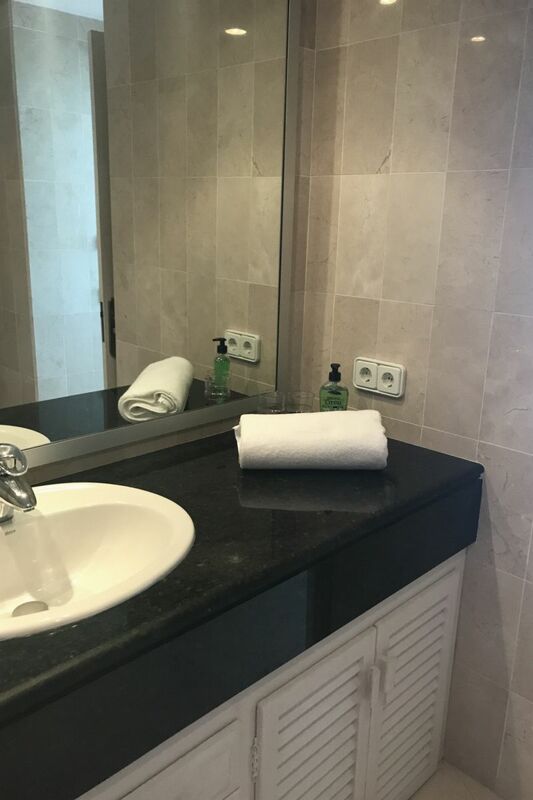 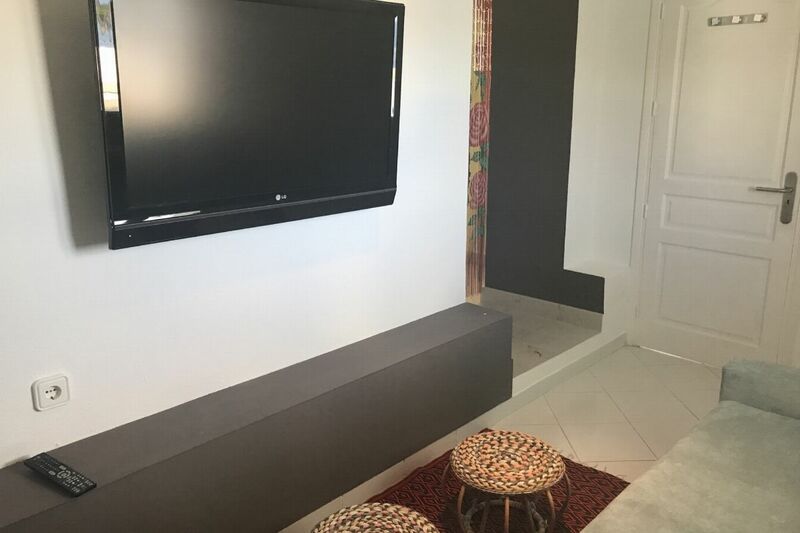 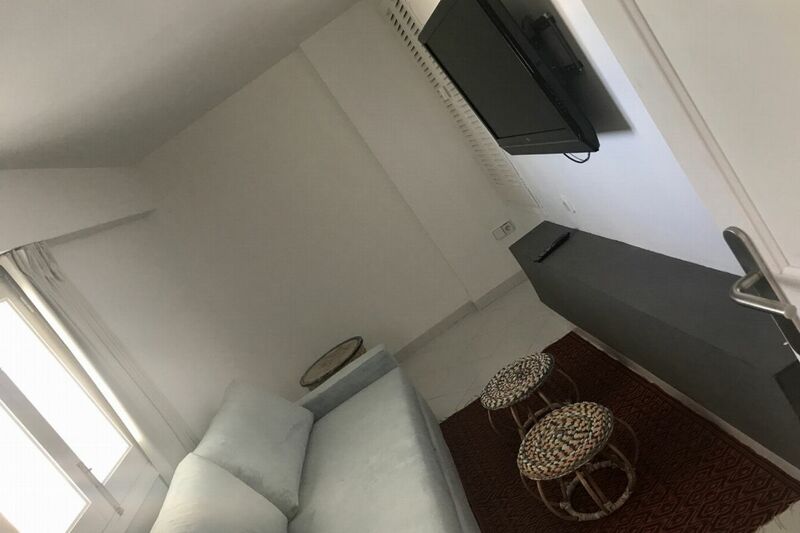 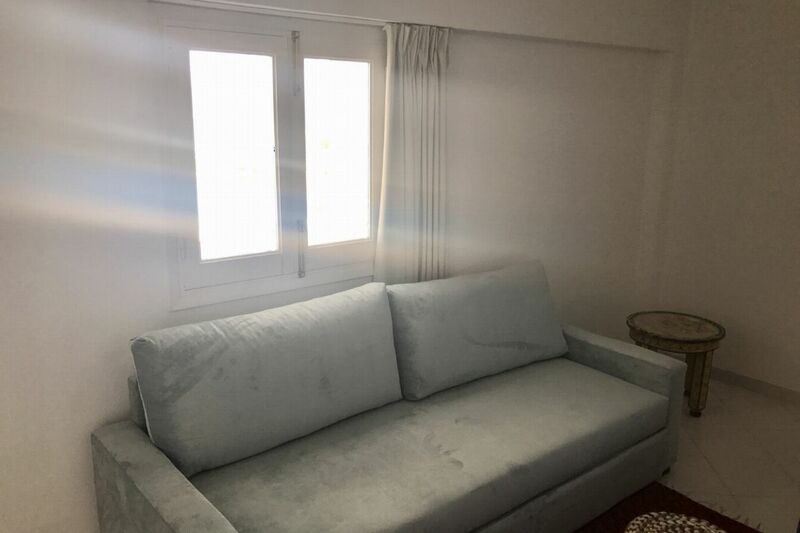 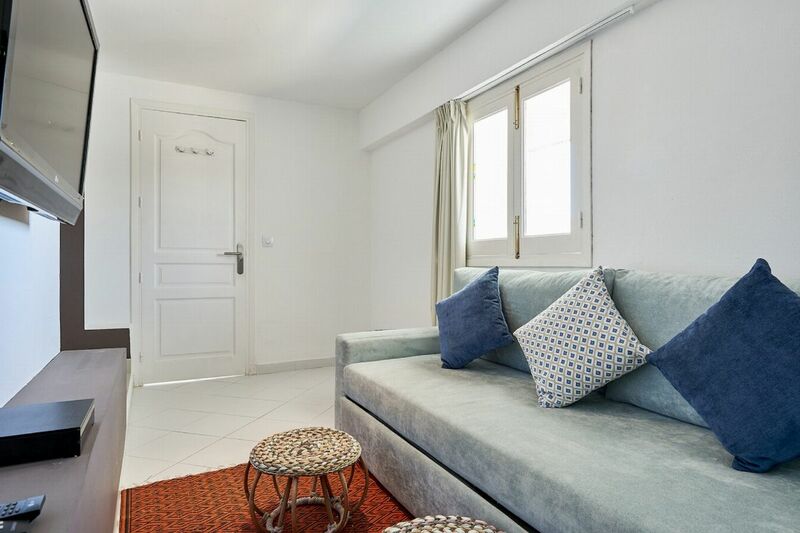 Also accessed from the terrace area is an independent small room with double sofa bed and TV with a guest bathroom, as well as a laundry room with washer and tumble dryer. 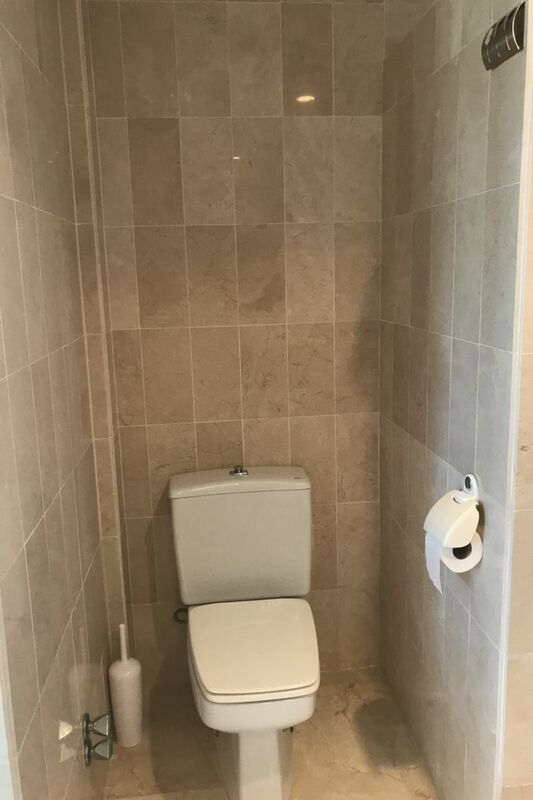 The property also has its own private parking. 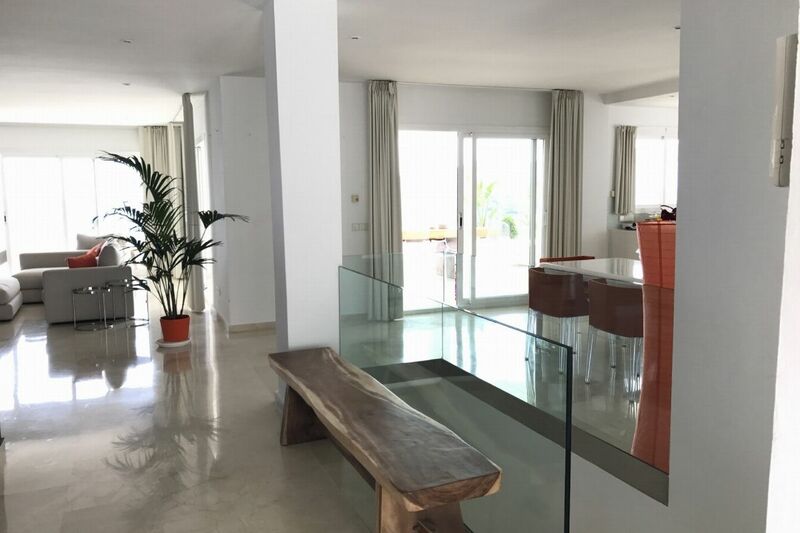 LIVING AREAS The house is built over several levels and consists of an open plan fully equipped modern kitchen with breakfast bar, an indoor dining area for 6 people, a lounge area with satellite TV and a bar area. 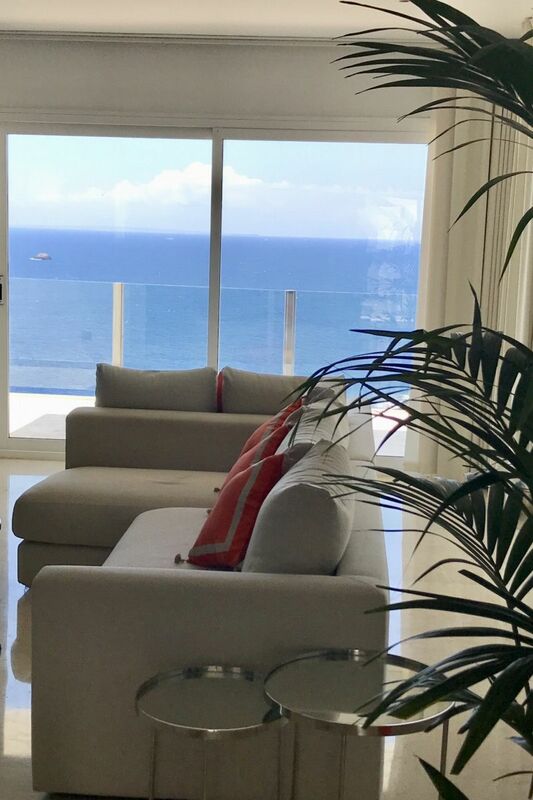 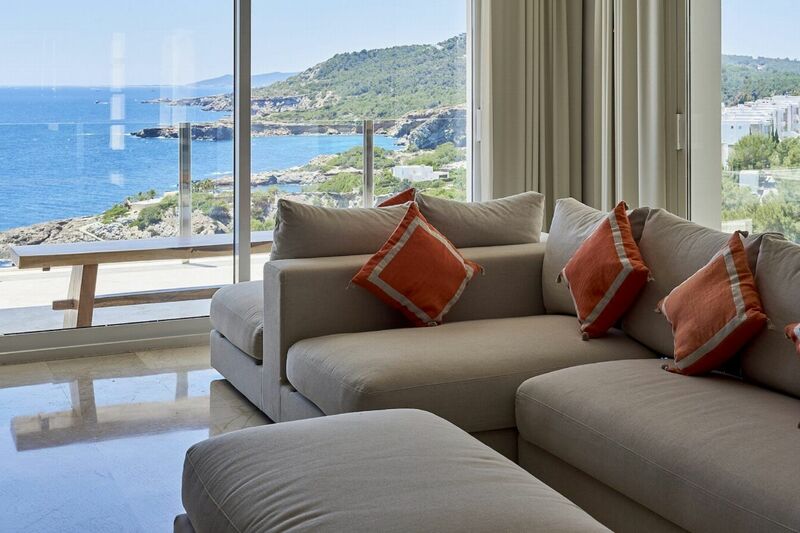 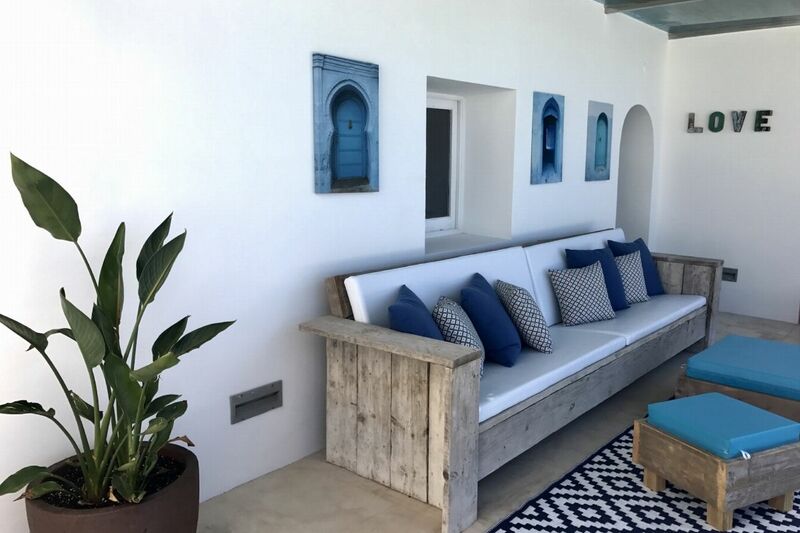 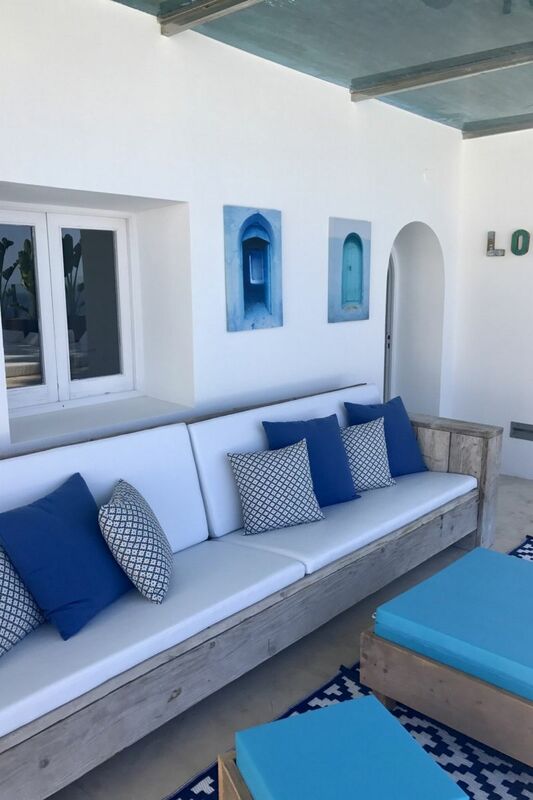 The property enjoys large windows enabling the breathtaking sea views over the coast to the island of Formentera to be fully appreciated. 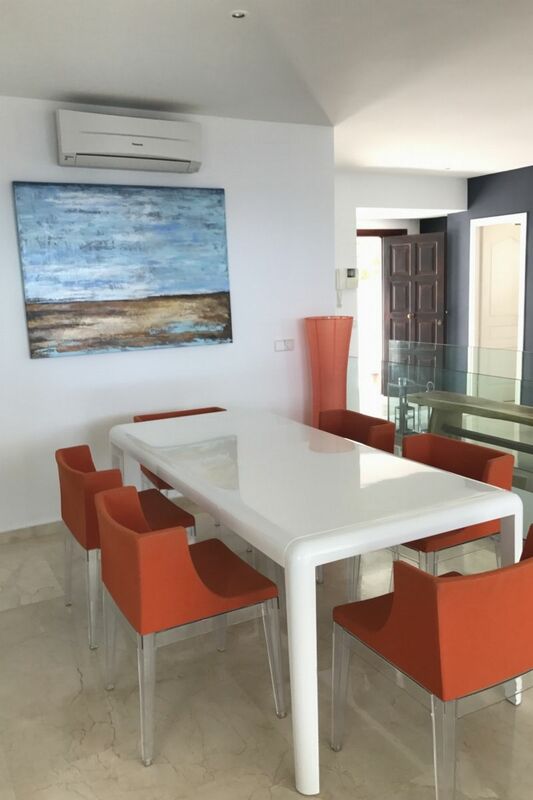 WiFi and air conditioning is accessible throughout the house. 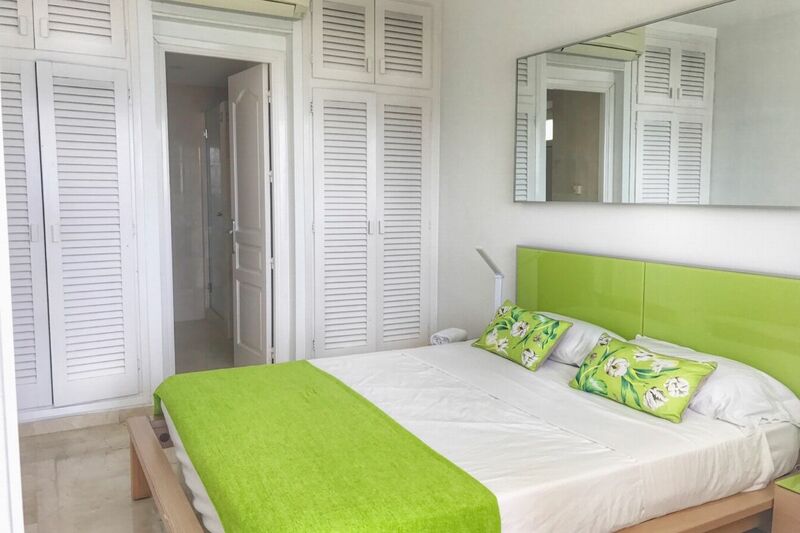 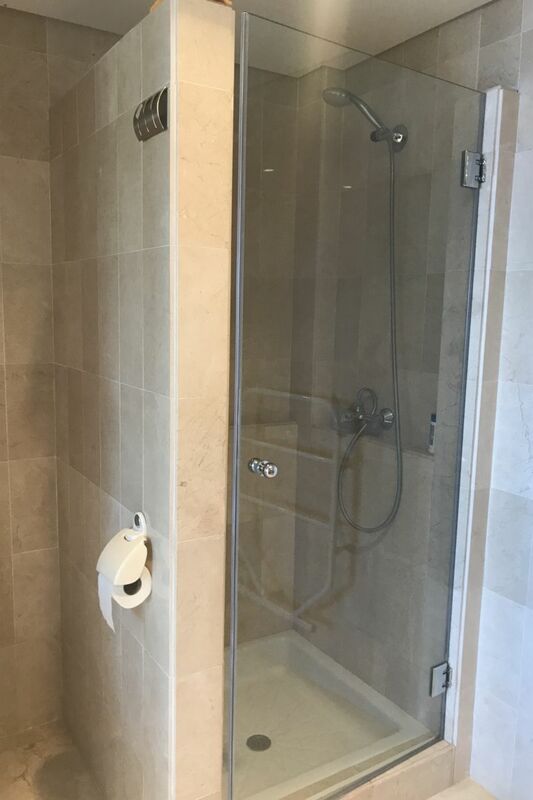 Accessed from outside with a double bed and en-suite bathroom. 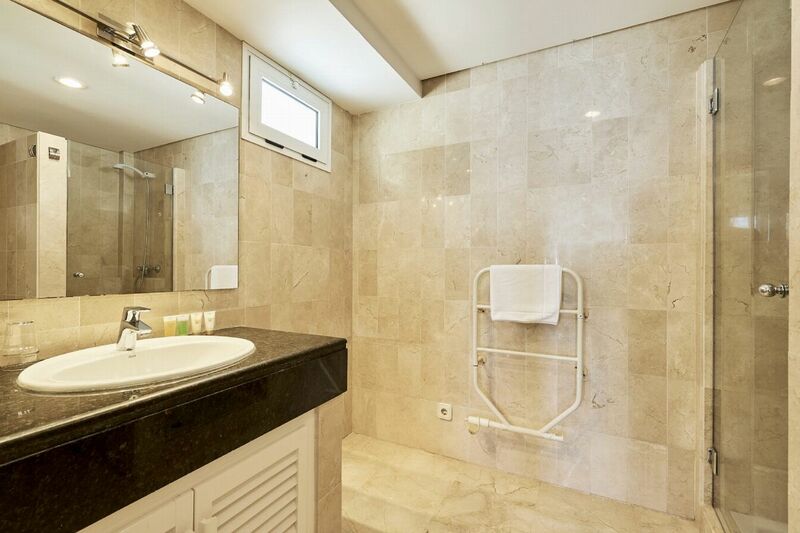 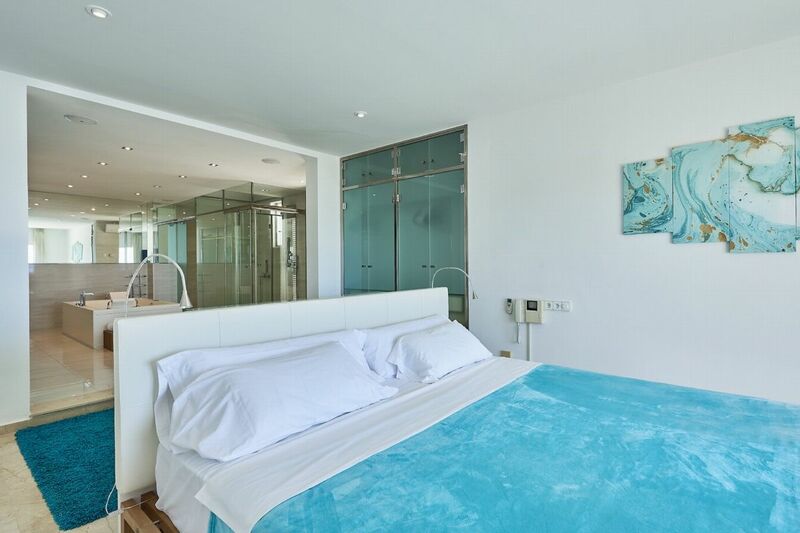 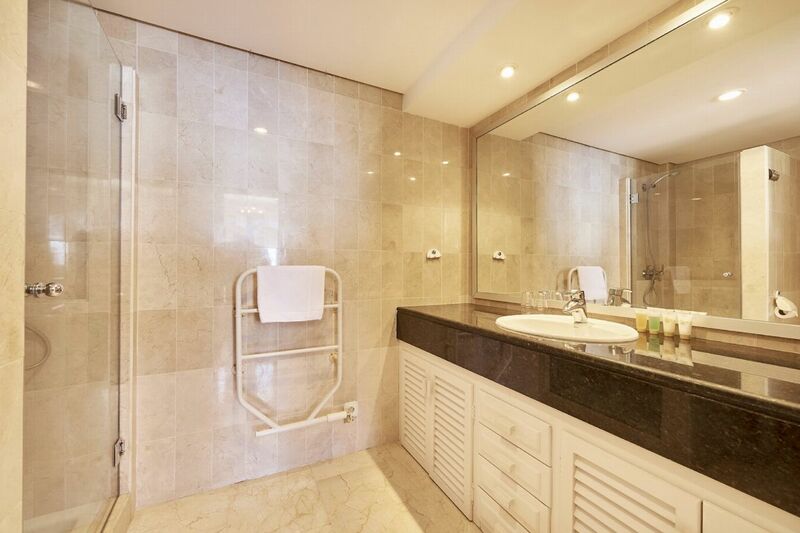 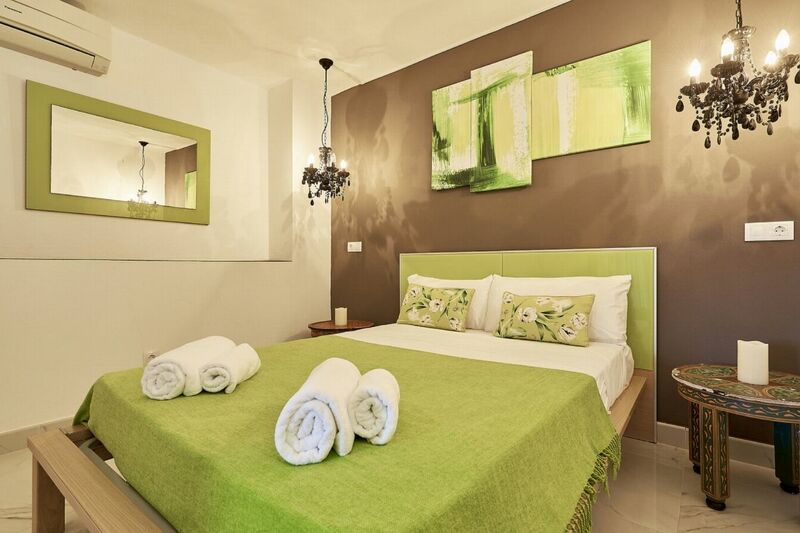 Accessed from the pool terrace is an independent room with a double sofa bed, TV, double bed and bathroom.